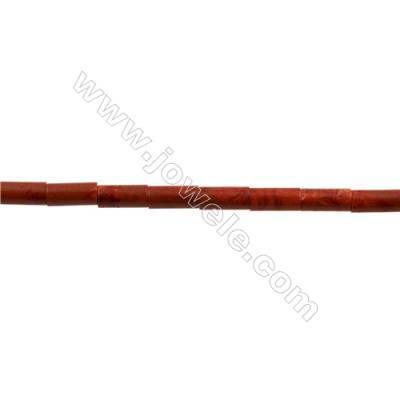 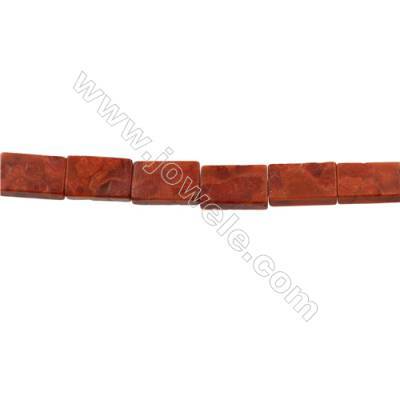 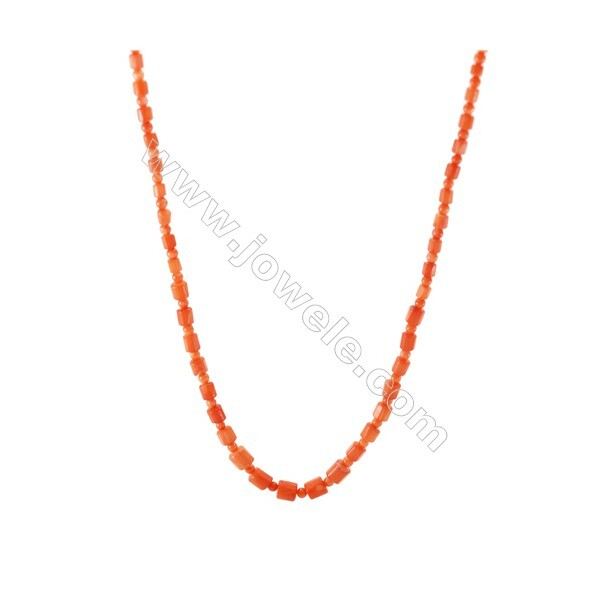 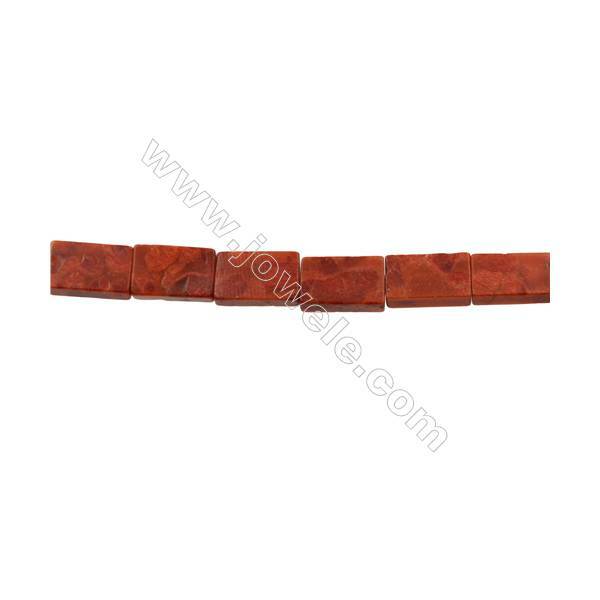 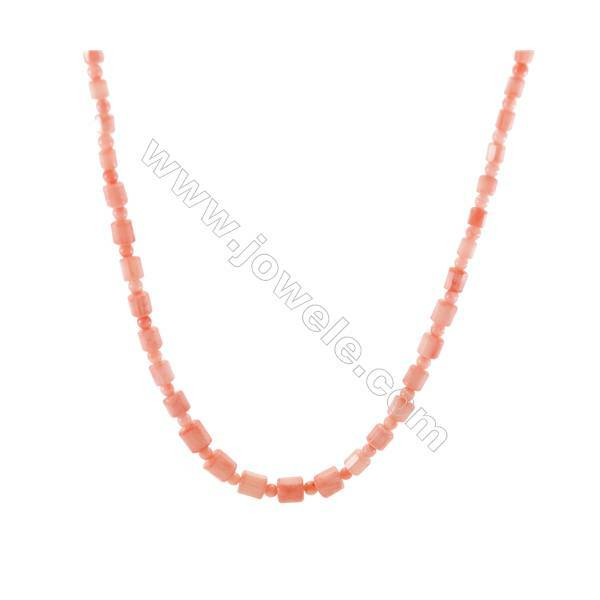 Coral is one of several so-called “organic gemstones,” the other main ones being pearls and amber. 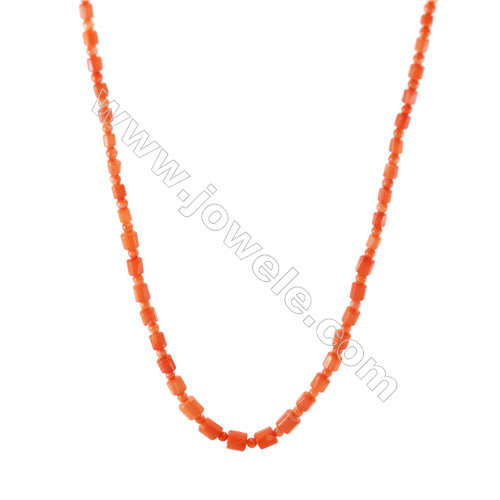 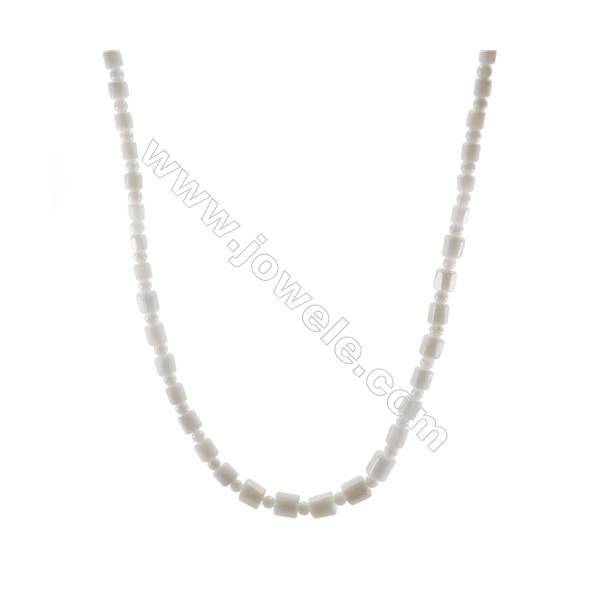 Made out of calcium carbonate (as are pearls) that’s secreted by organisms known as polyps, coral is mostly found in tropical oceans, where colonies of polyps are jammed together to create reefs. 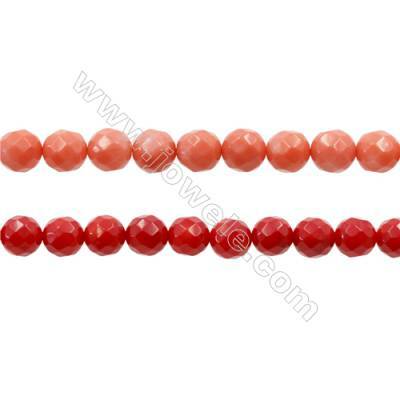 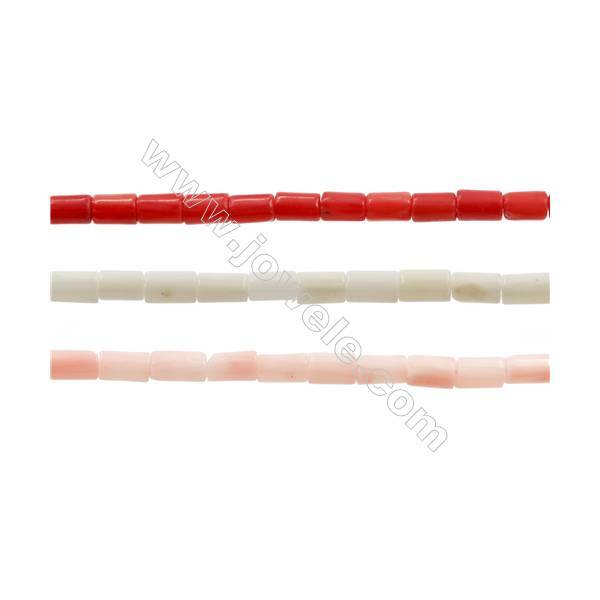 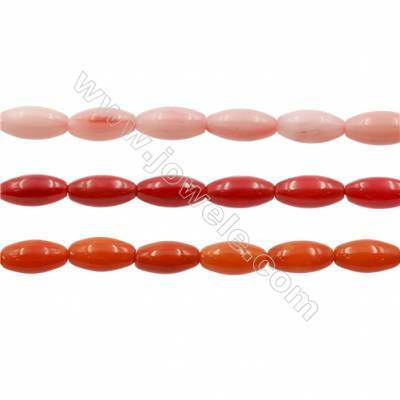 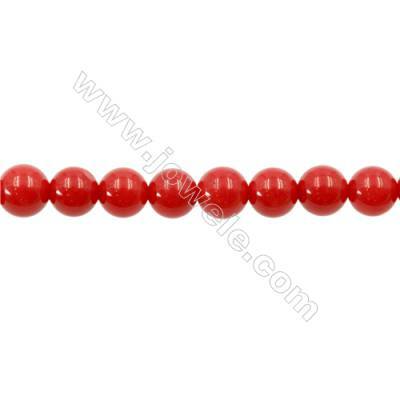 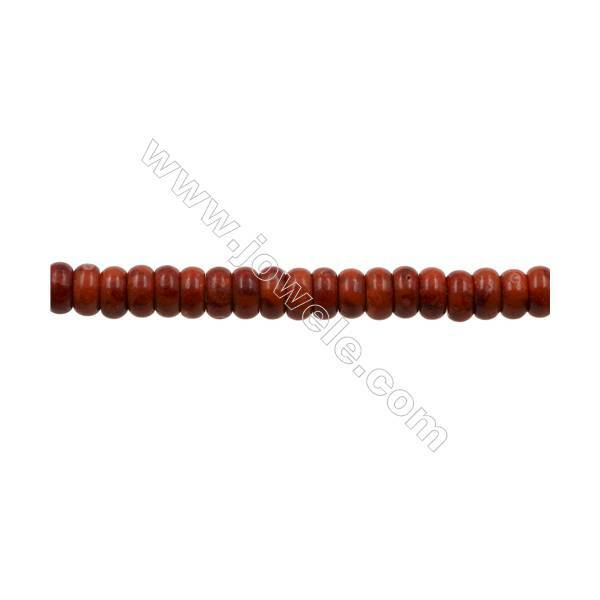 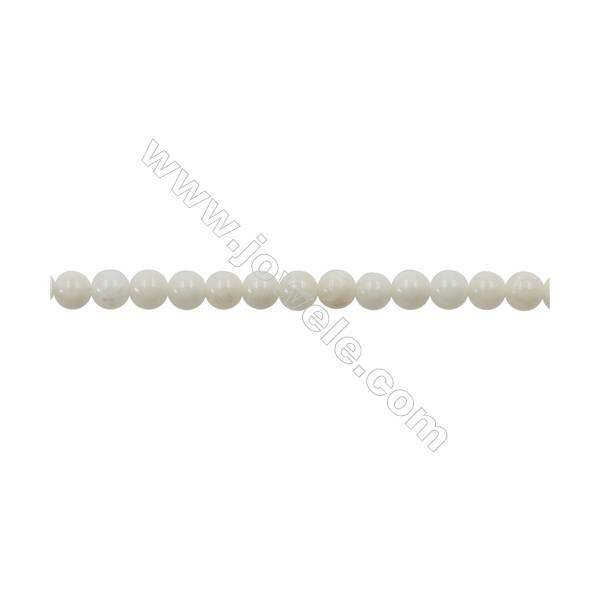 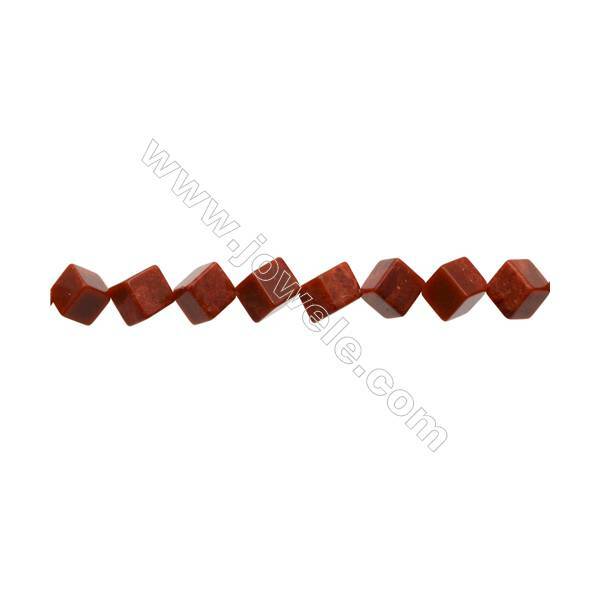 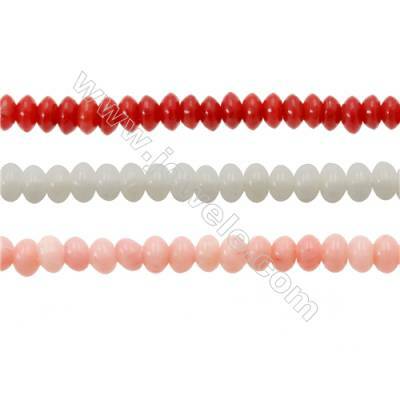 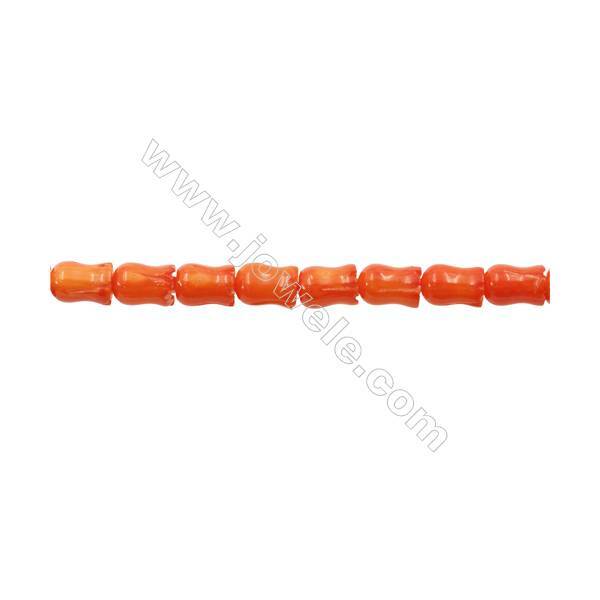 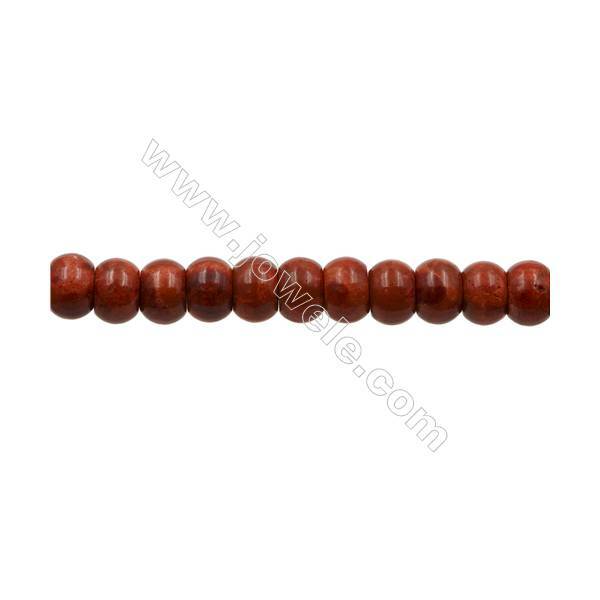 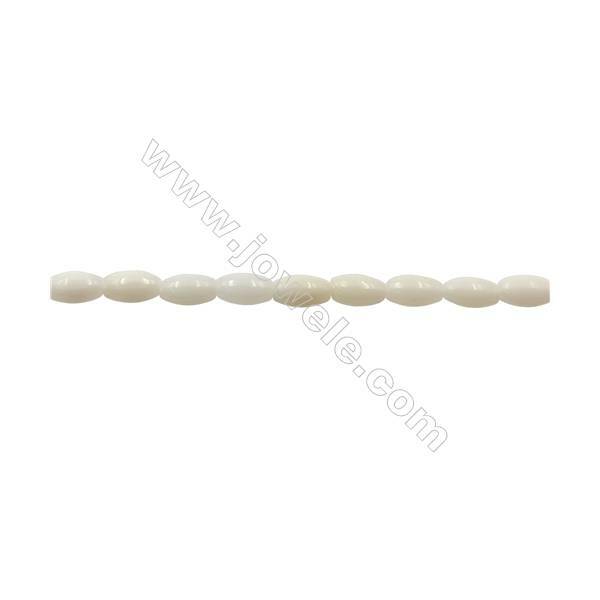 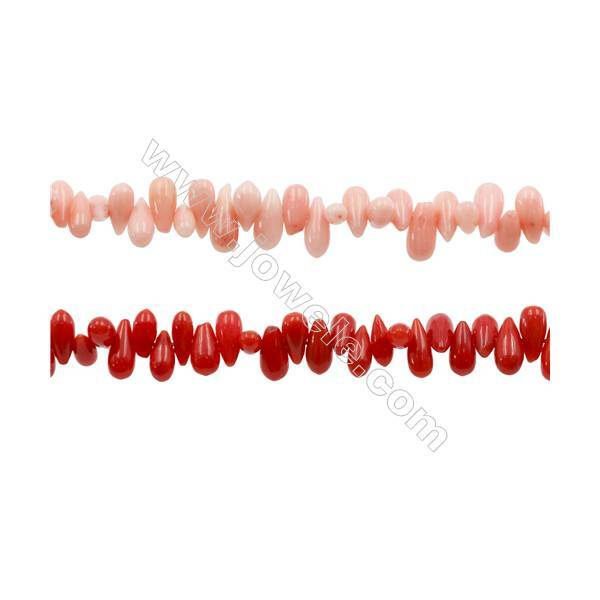 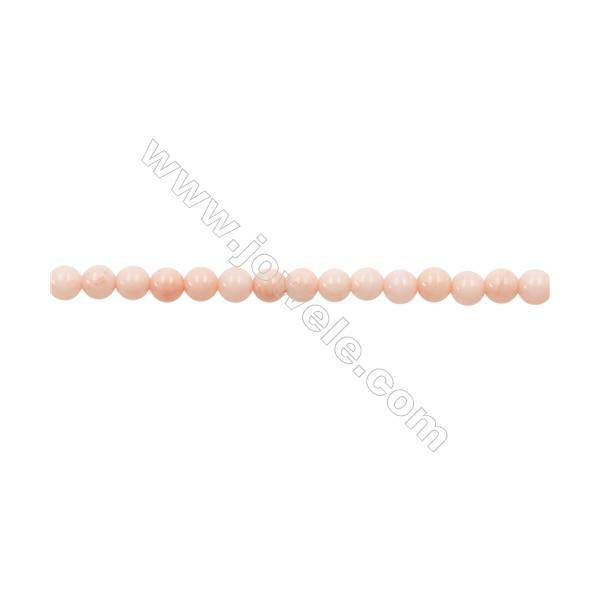 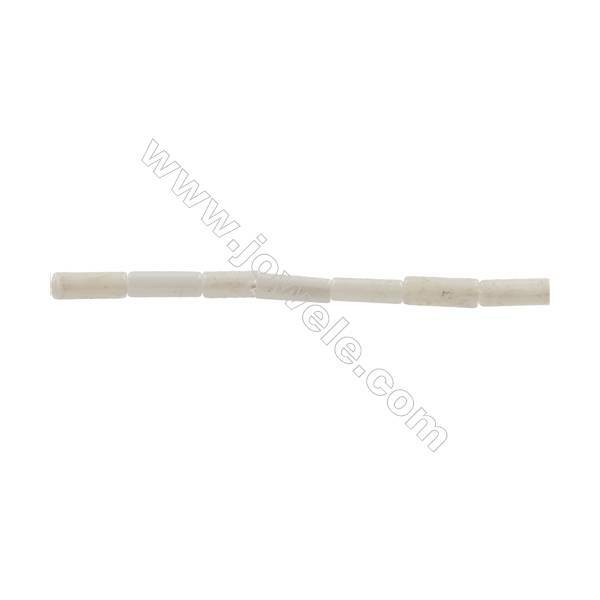 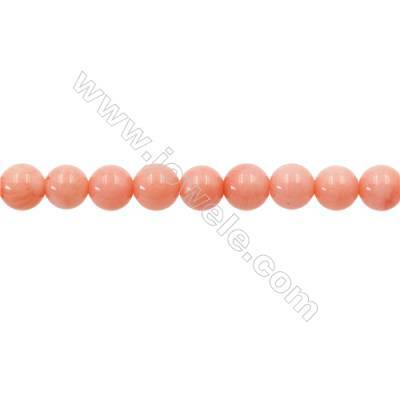 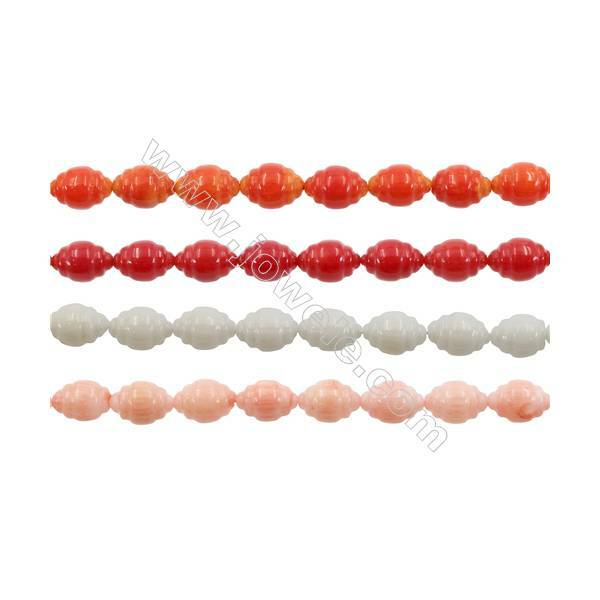 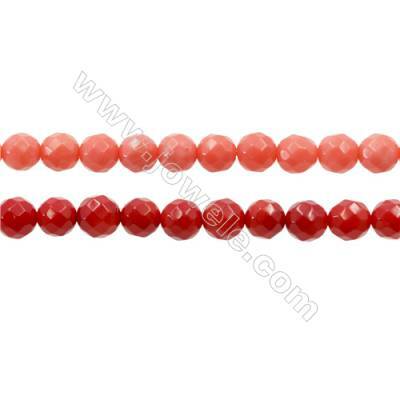 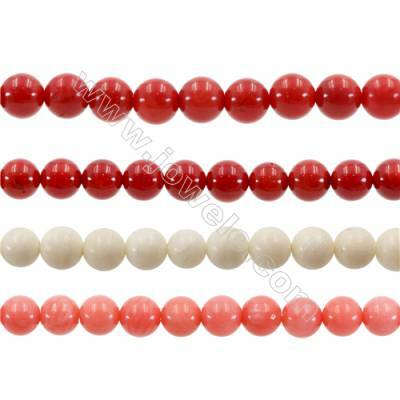 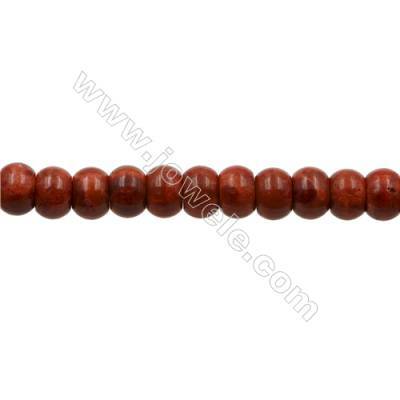 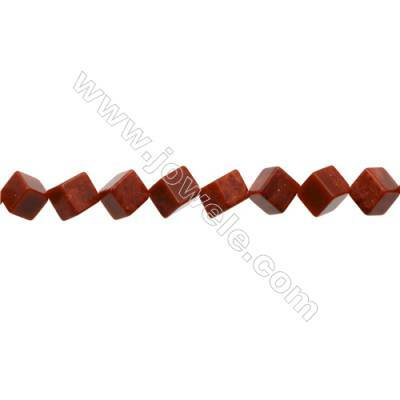 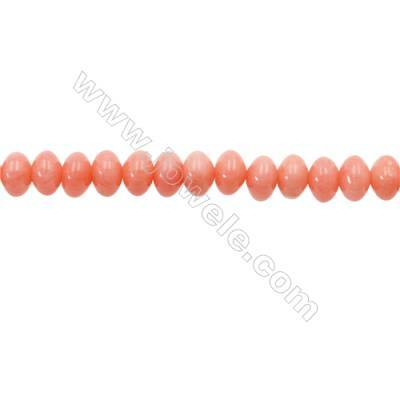 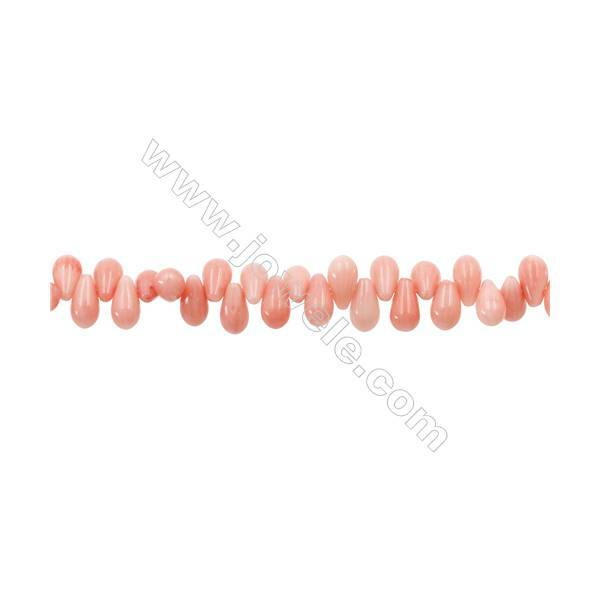 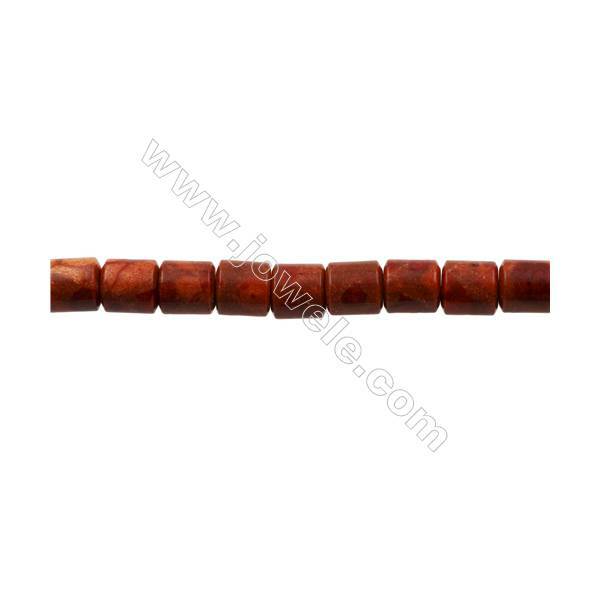 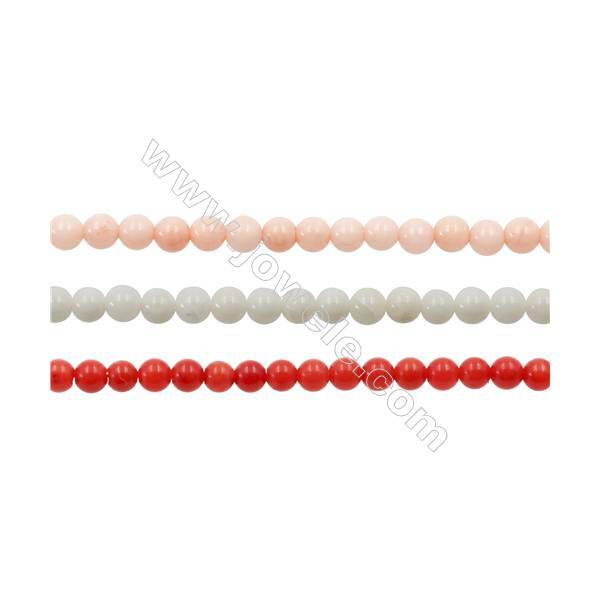 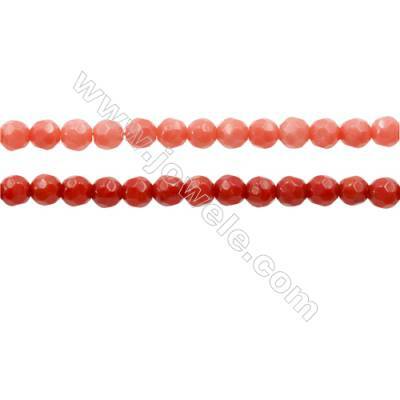 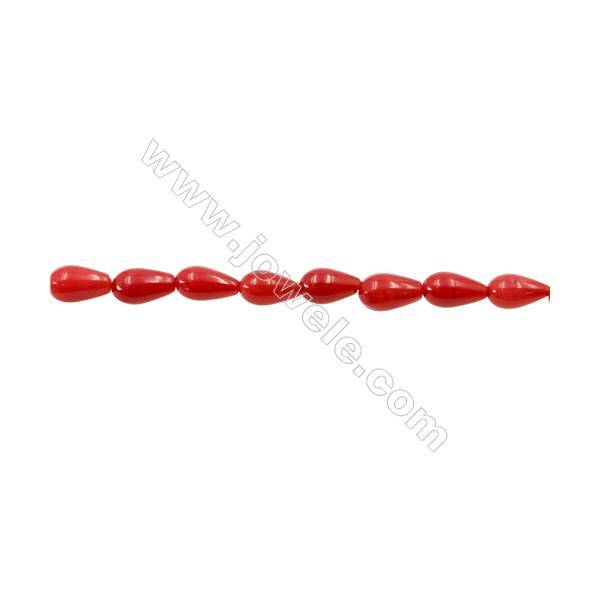 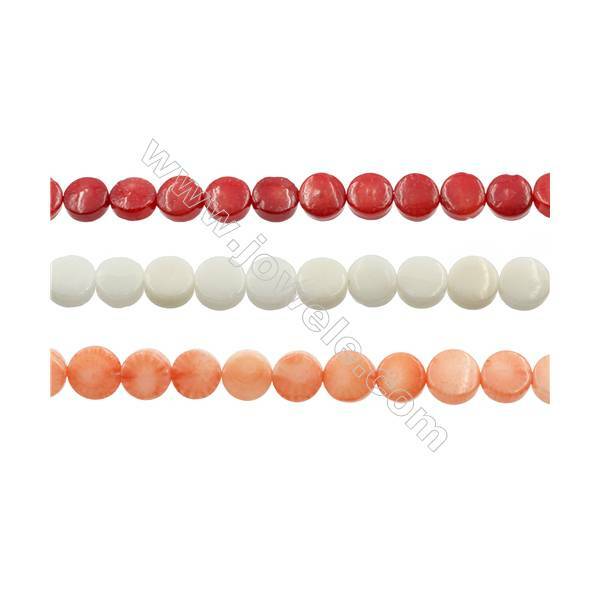 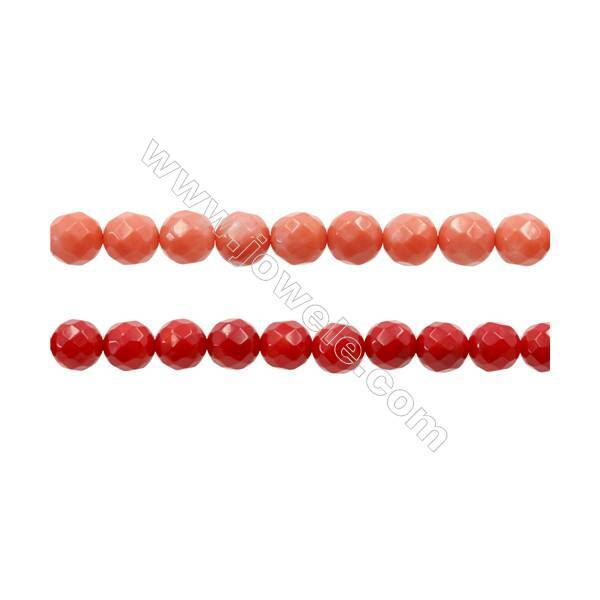 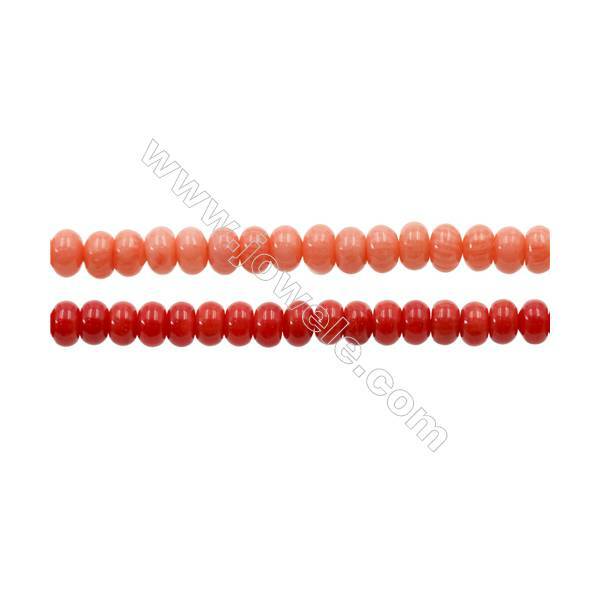 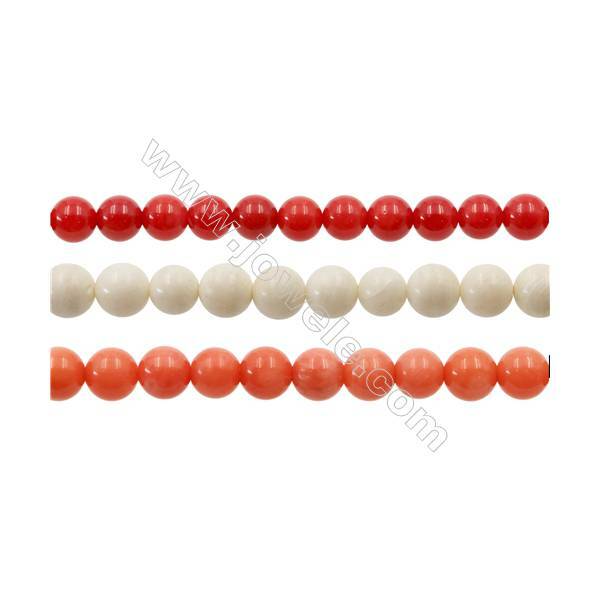 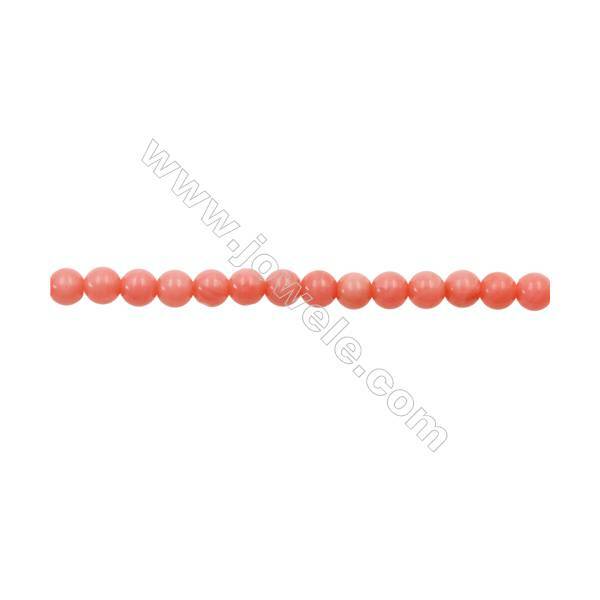 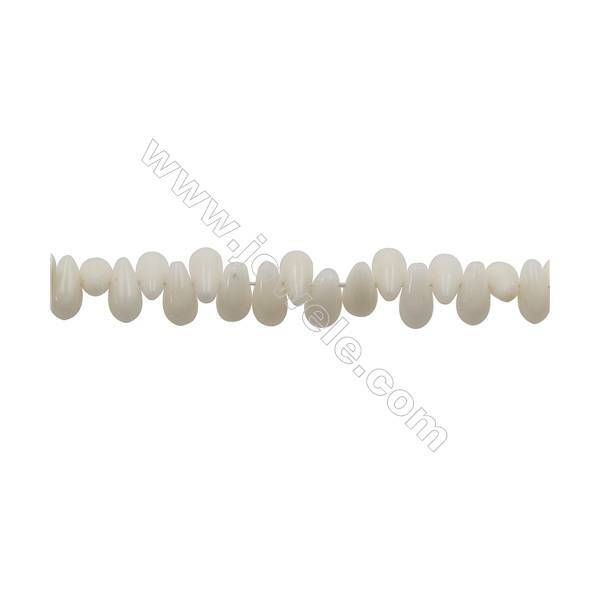 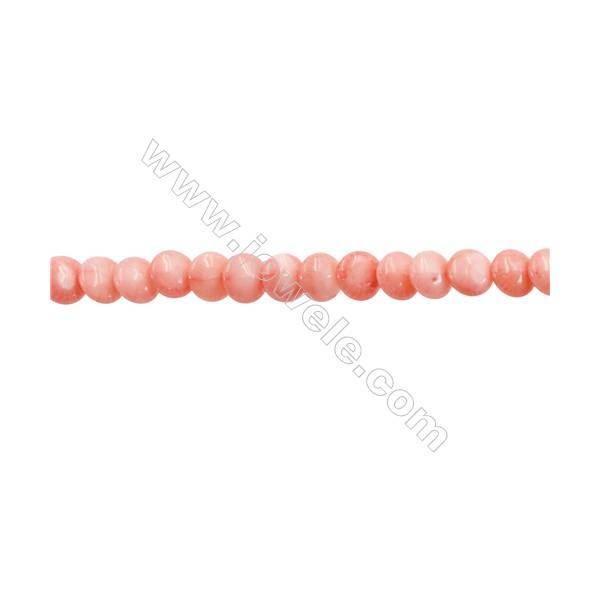 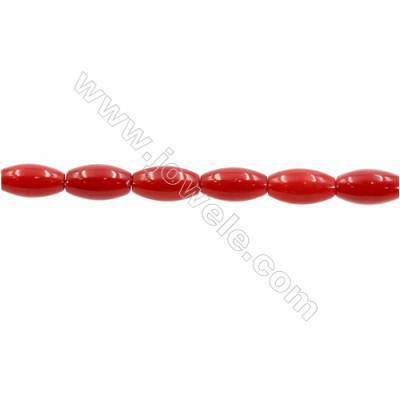 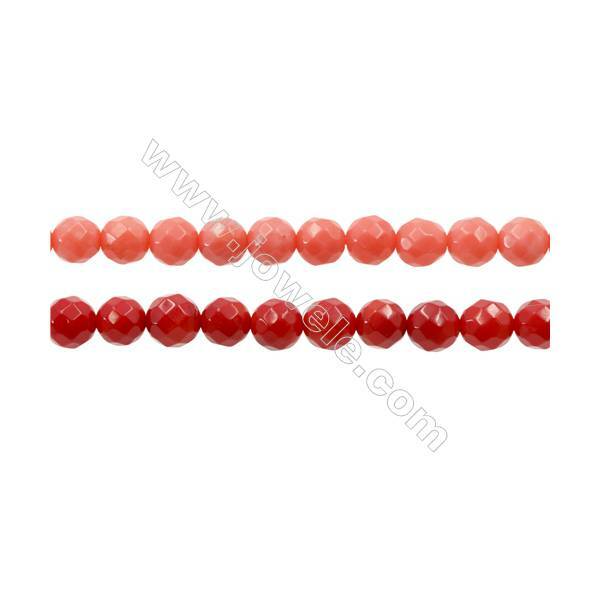 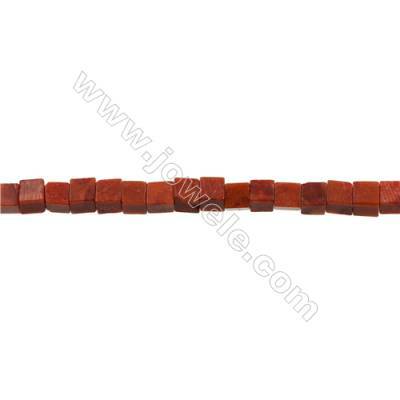 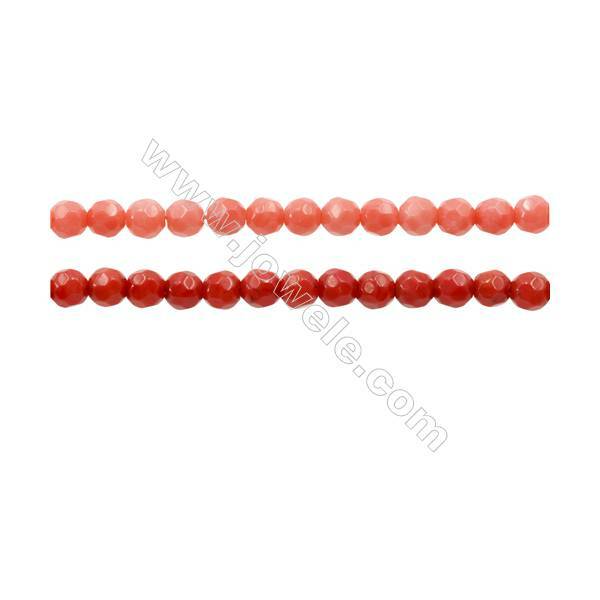 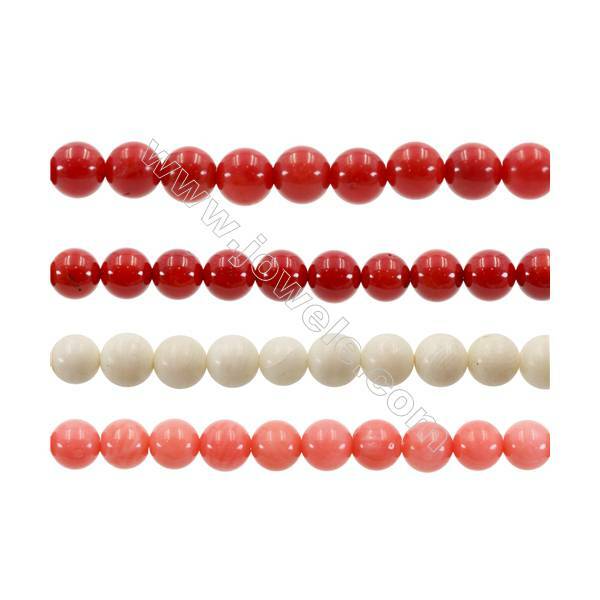 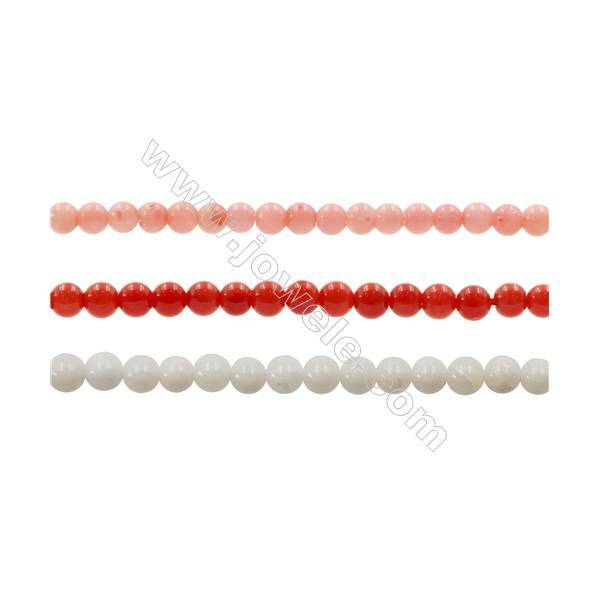 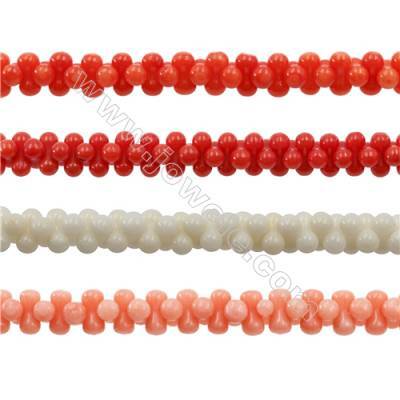 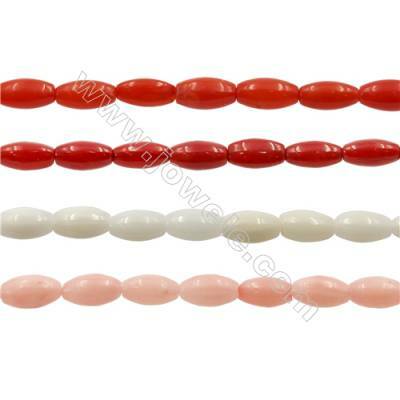 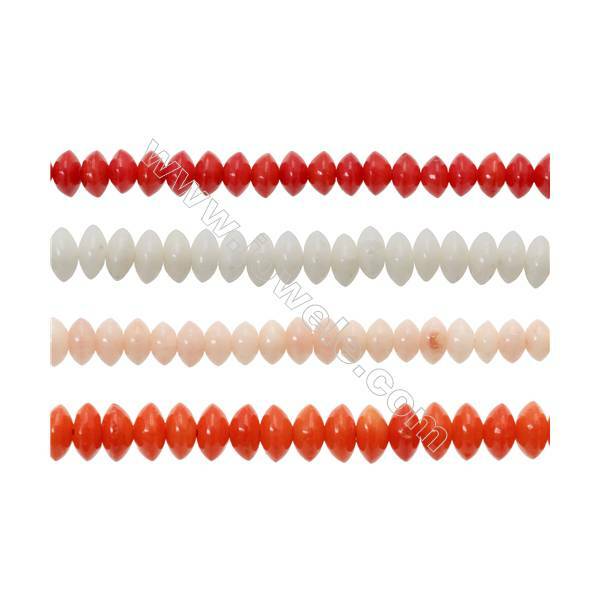 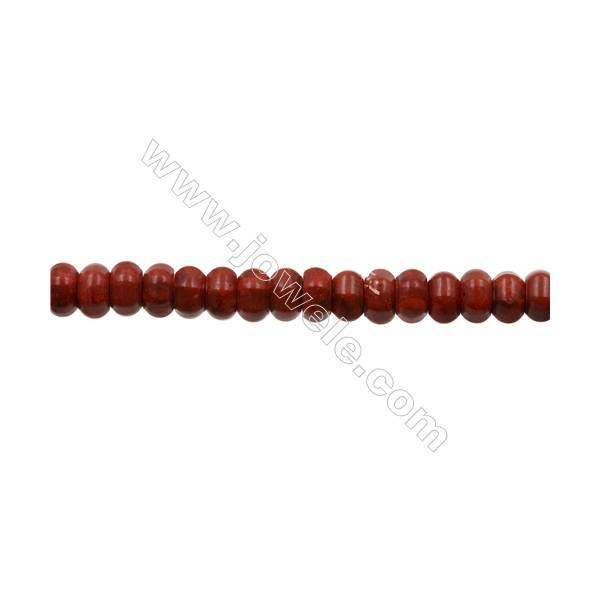 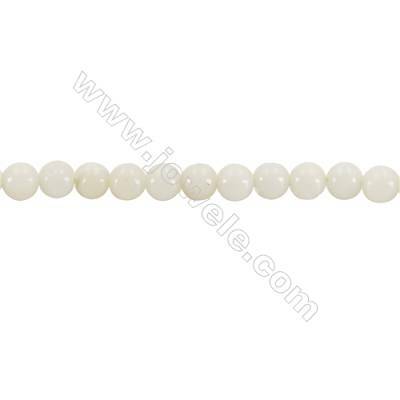 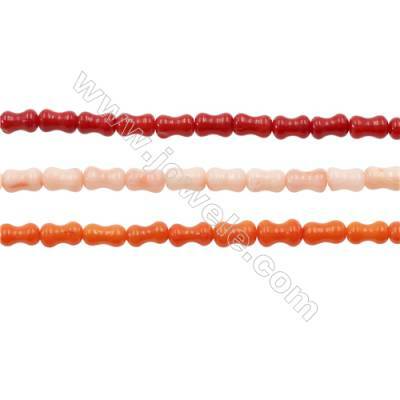 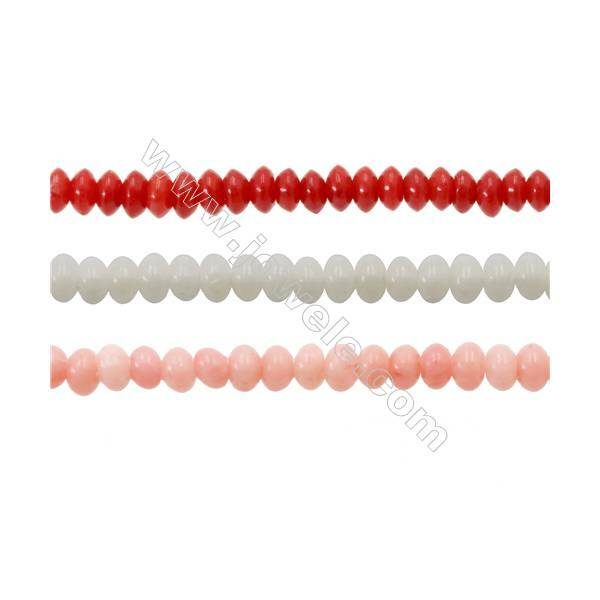 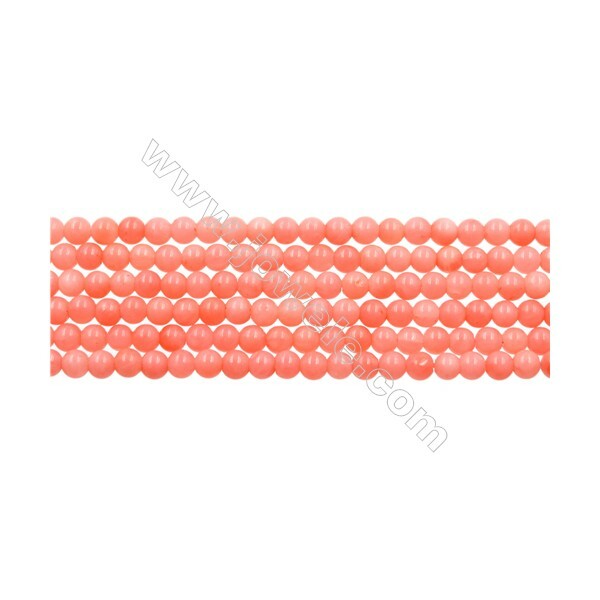 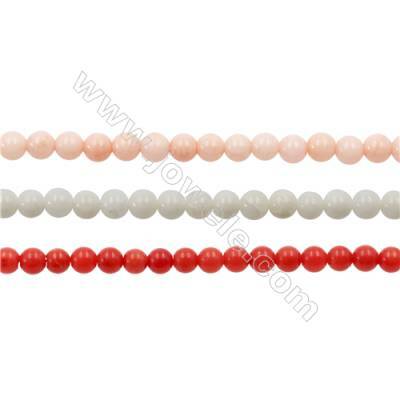 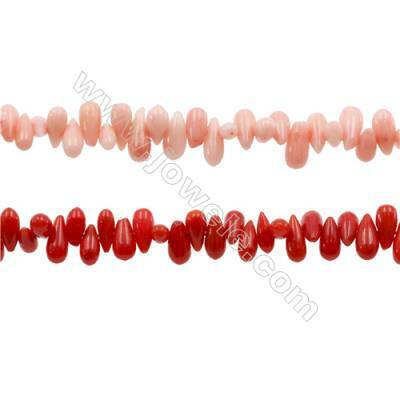 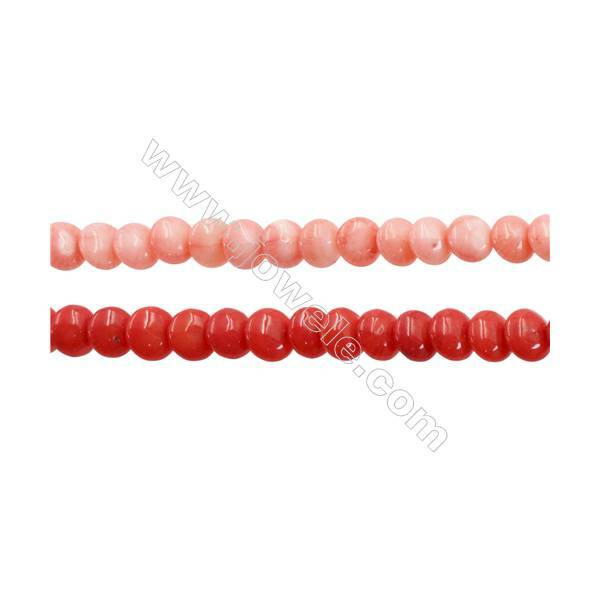 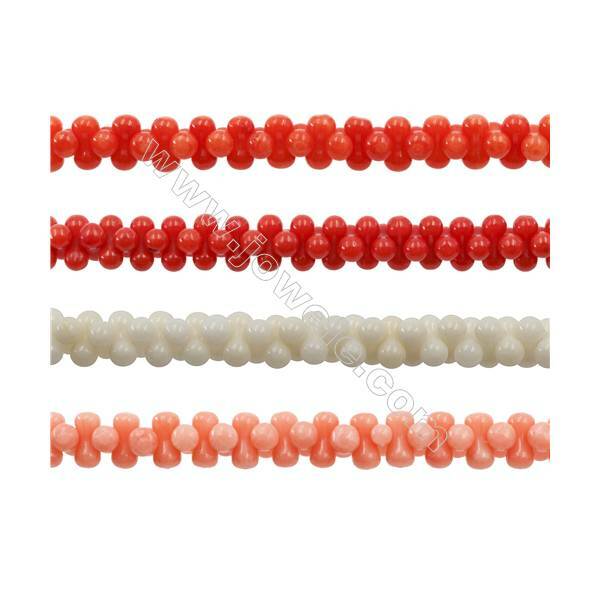 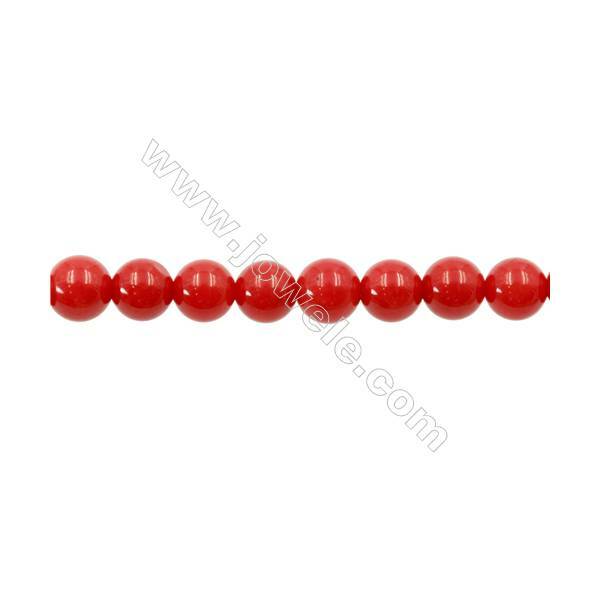 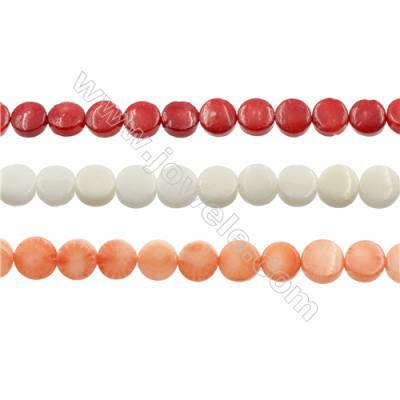 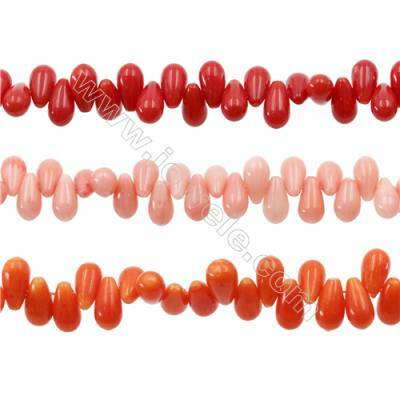 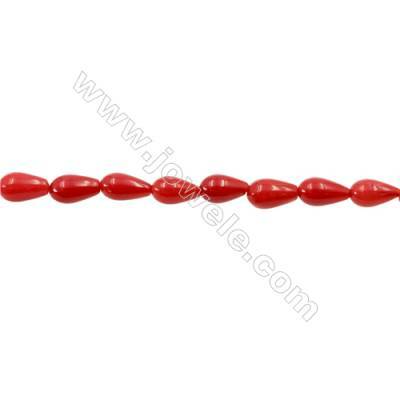 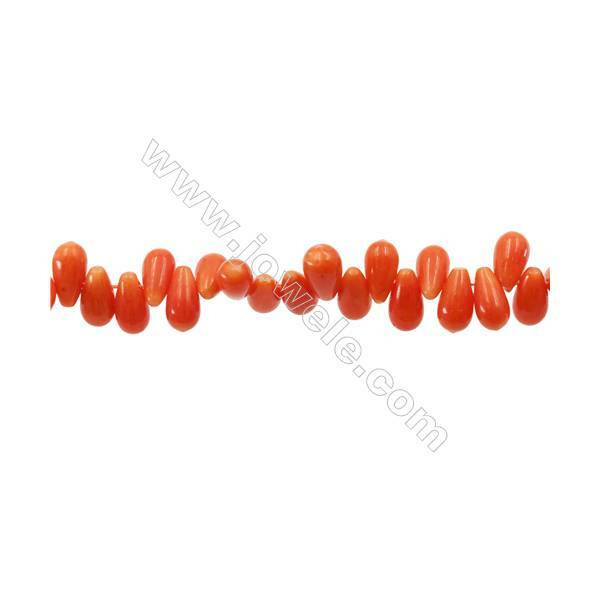 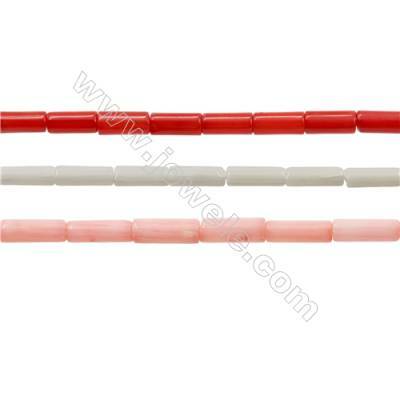 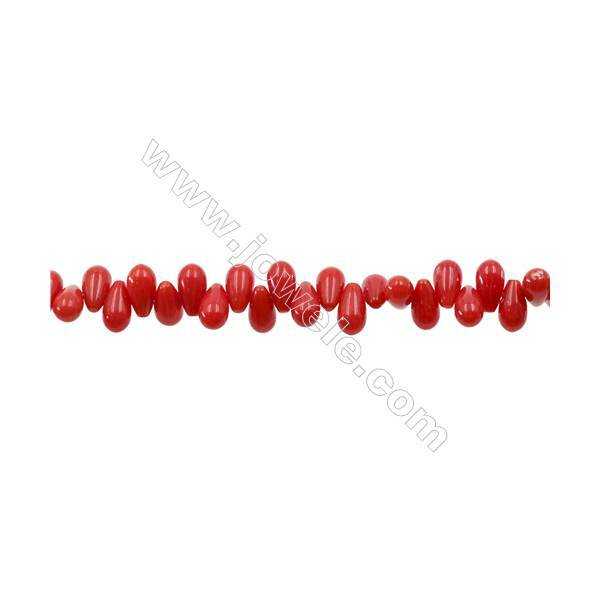 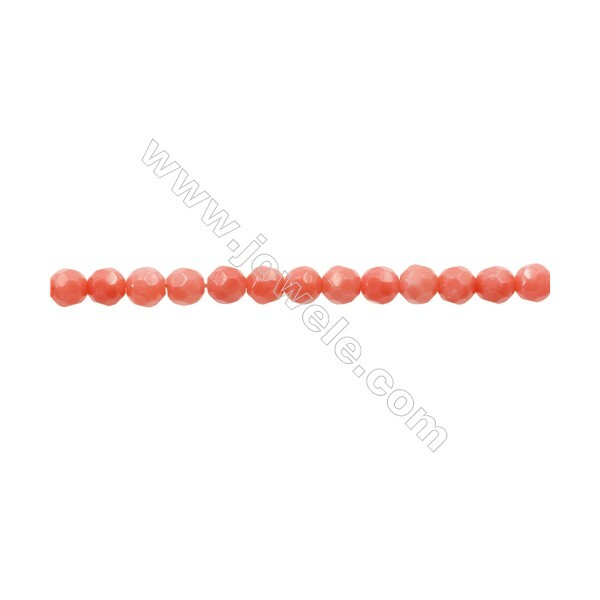 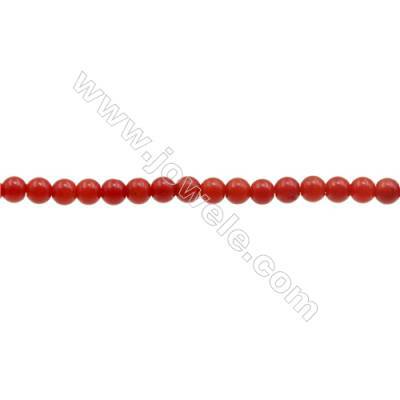 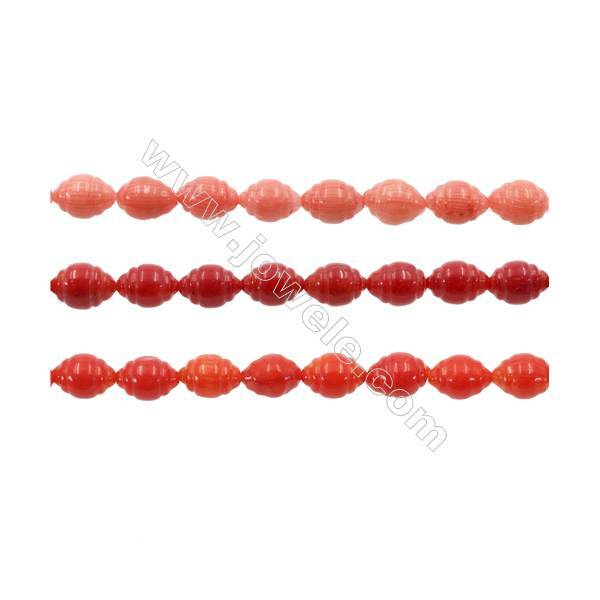 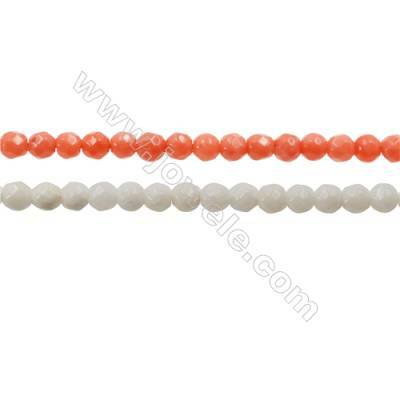 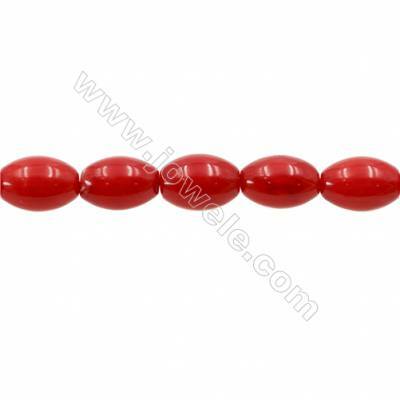 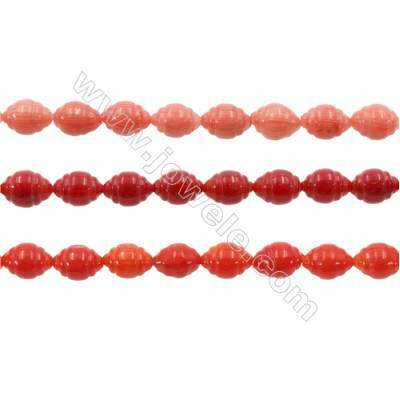 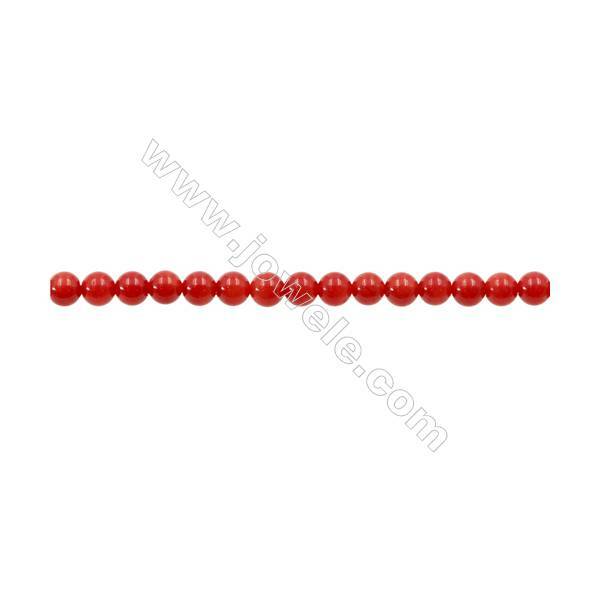 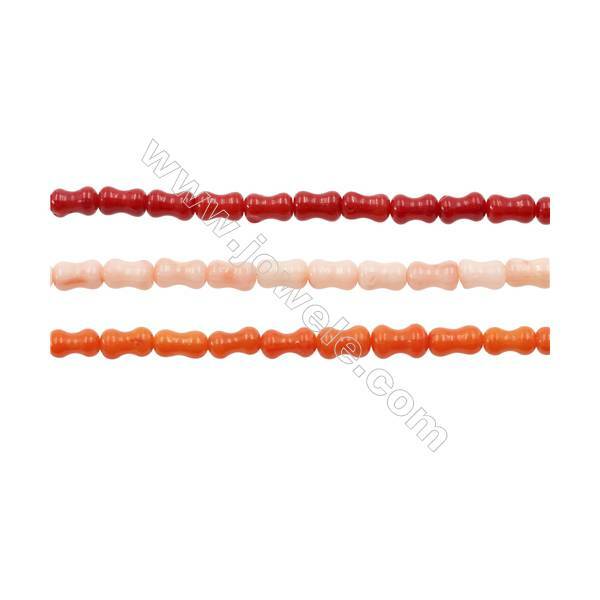 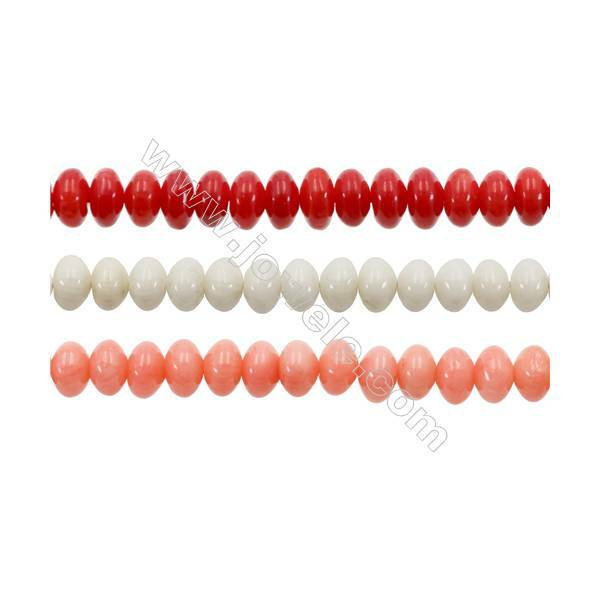 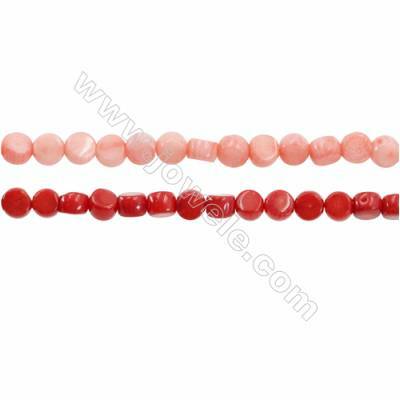 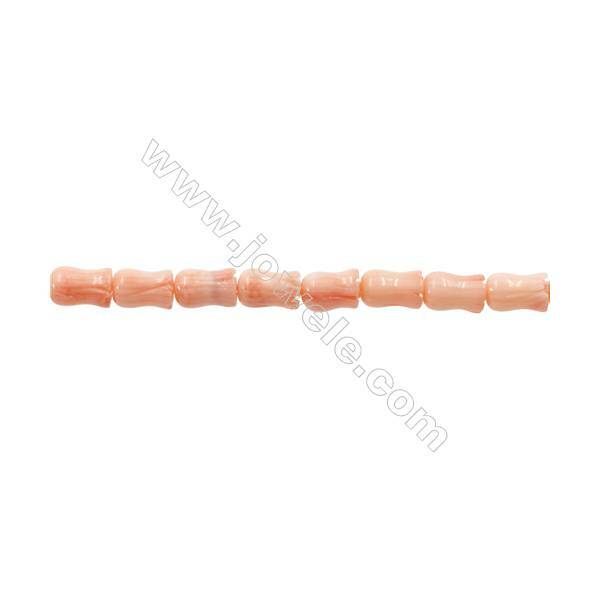 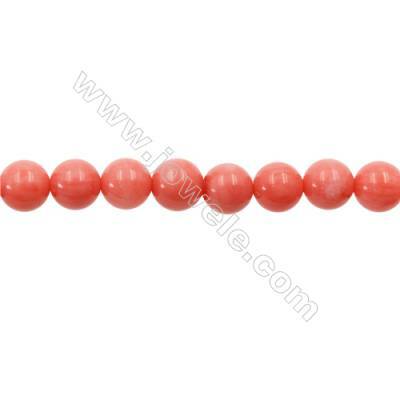 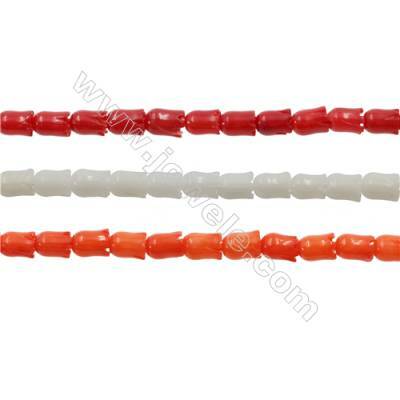 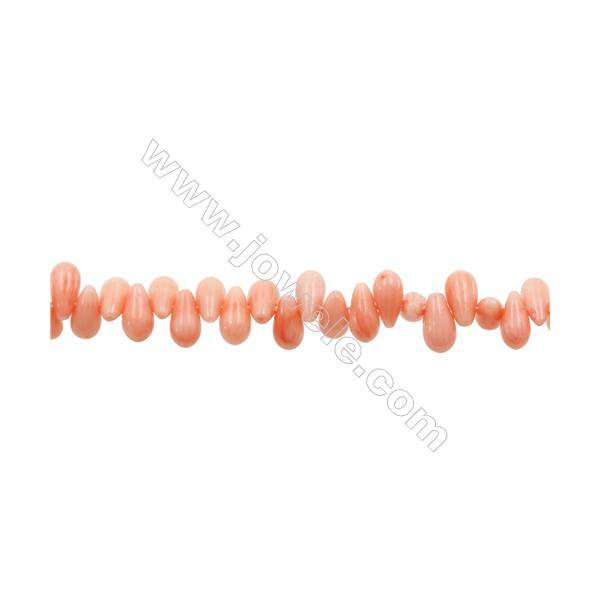 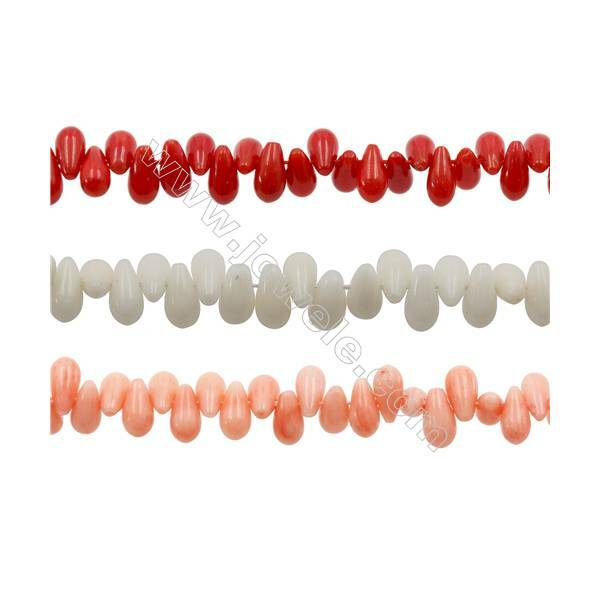 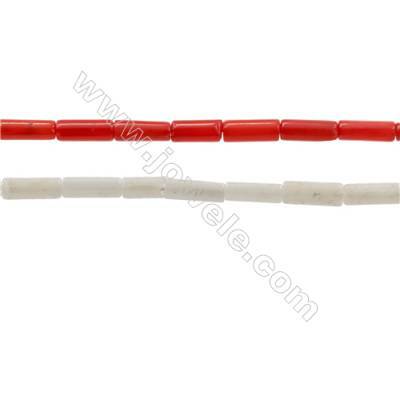 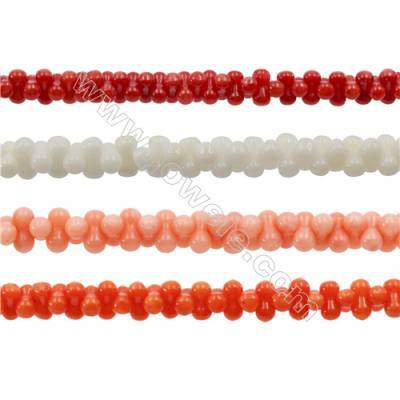 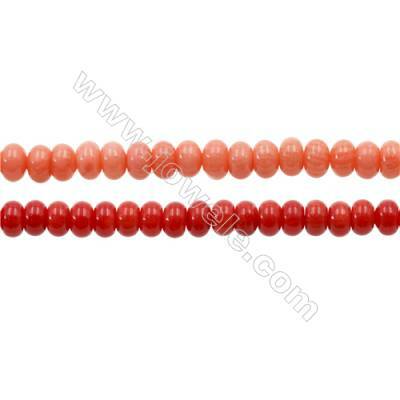 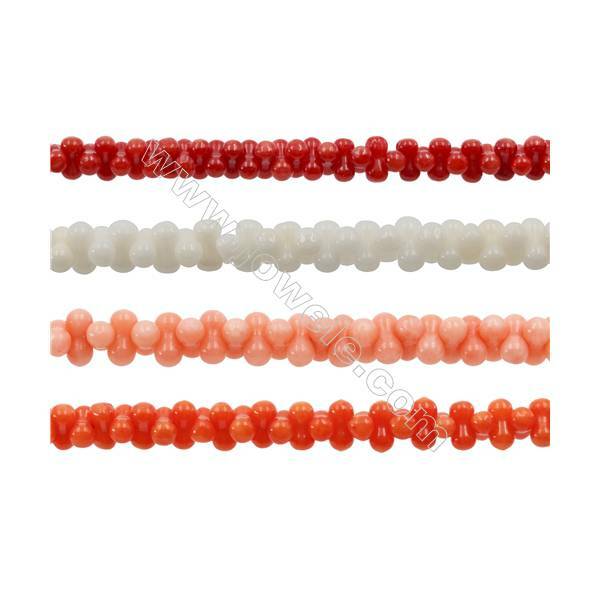 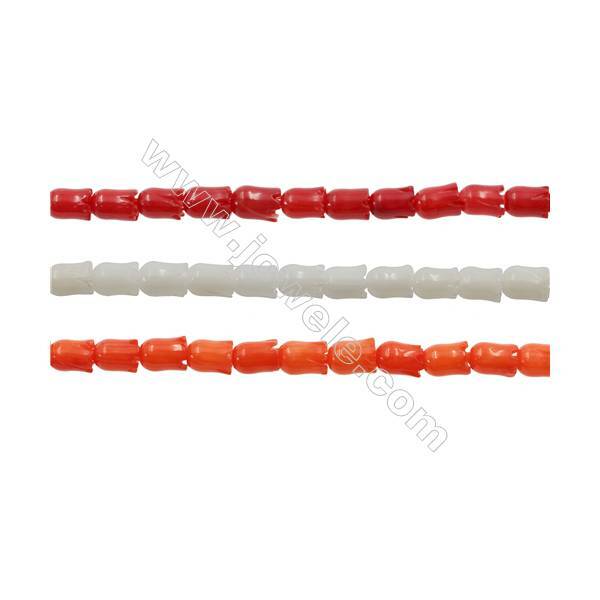 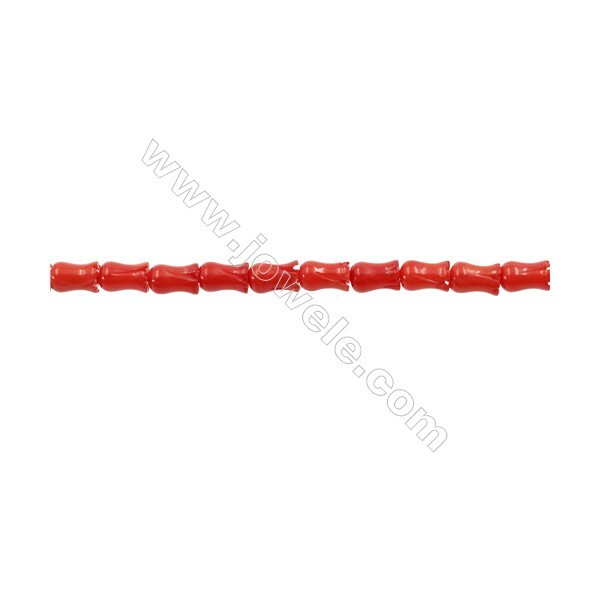 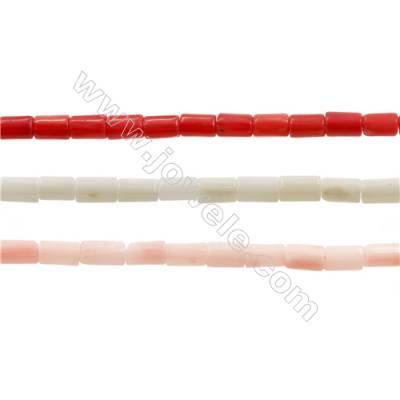 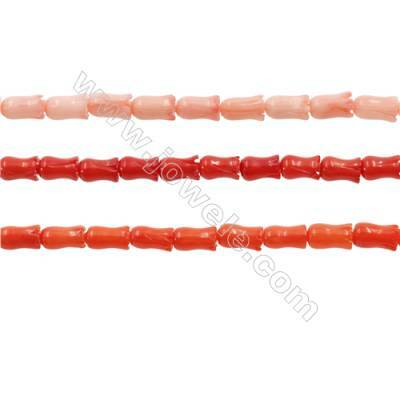 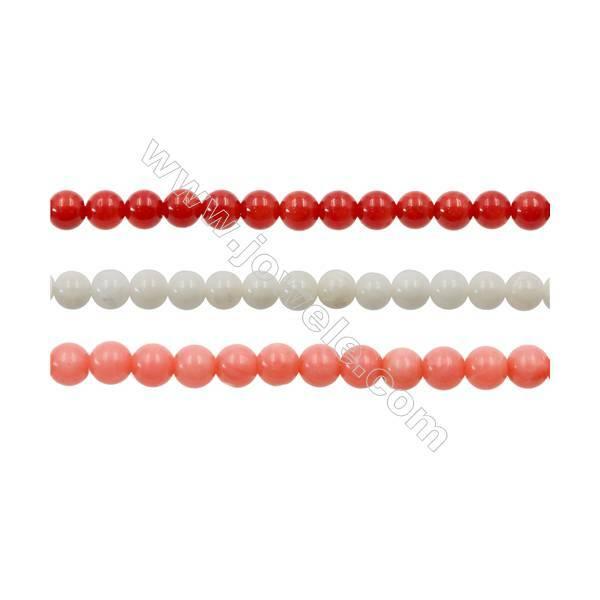 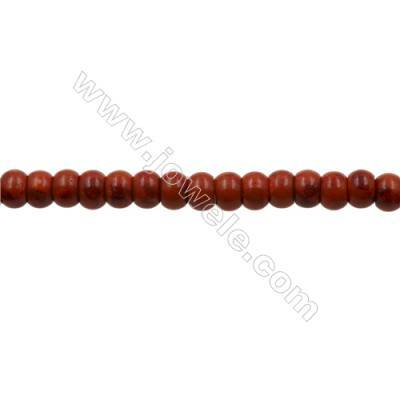 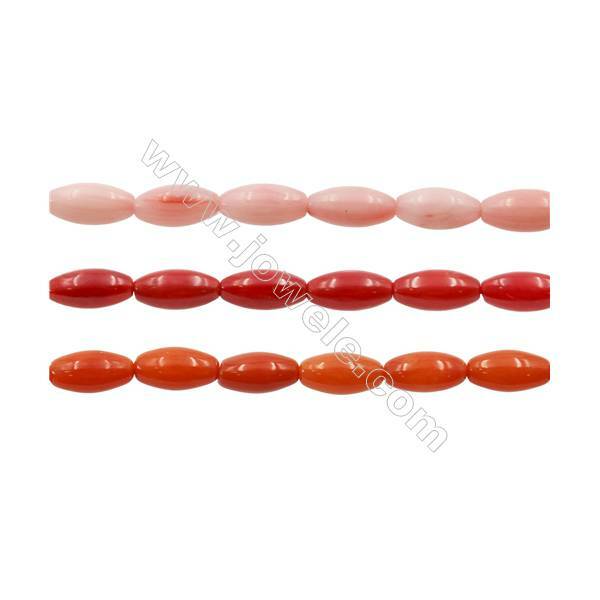 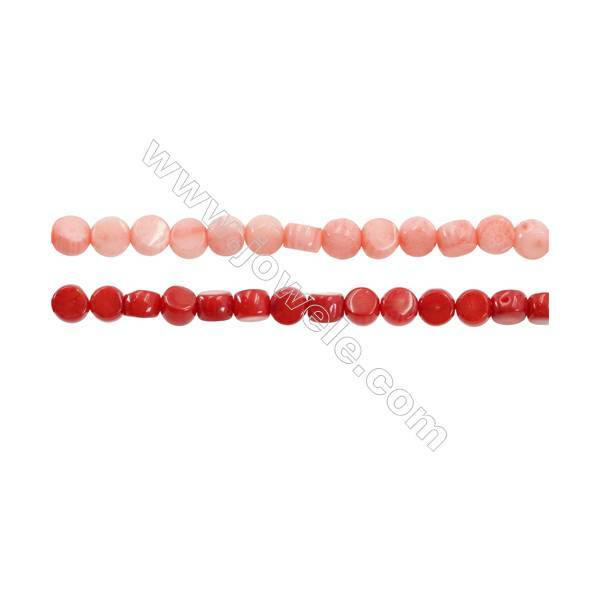 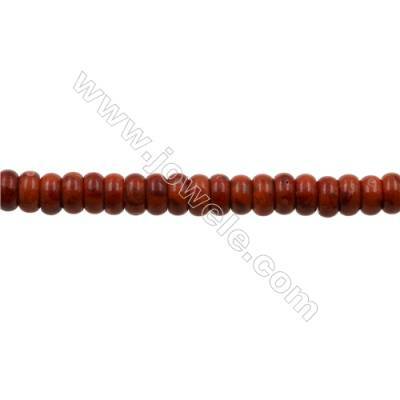 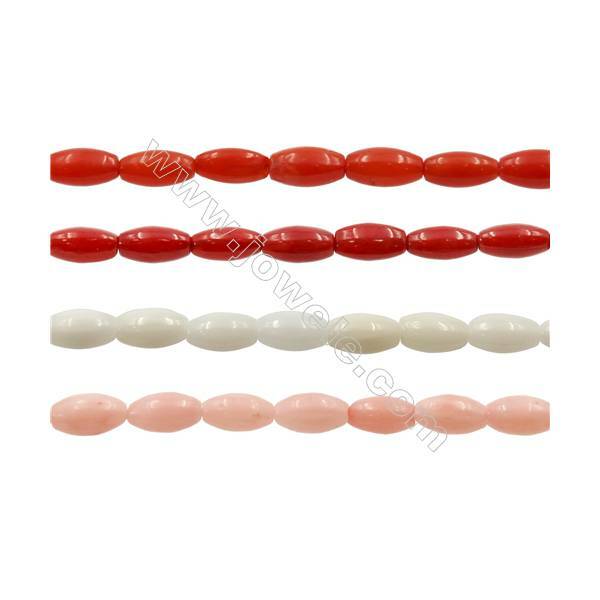 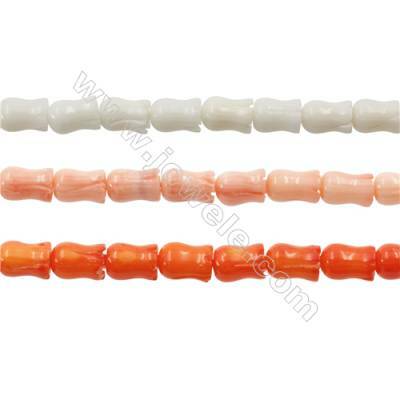 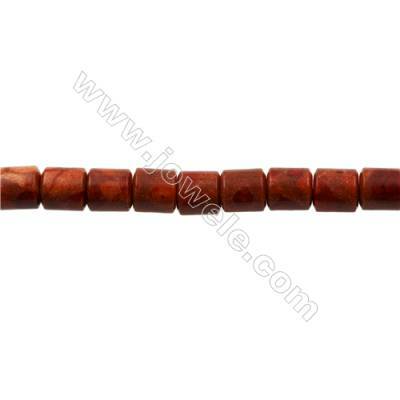 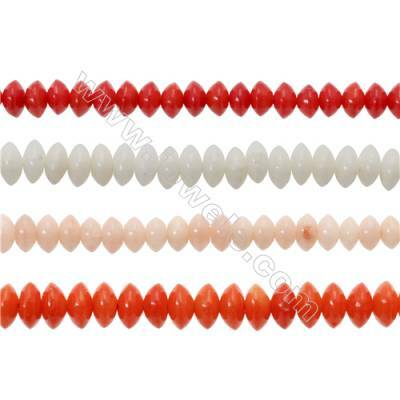 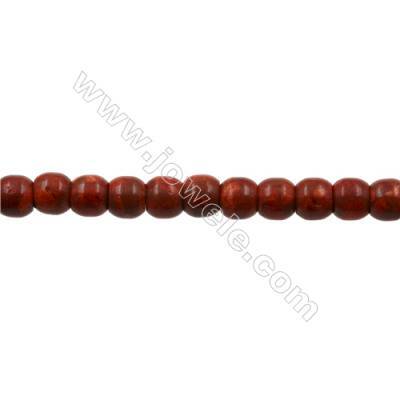 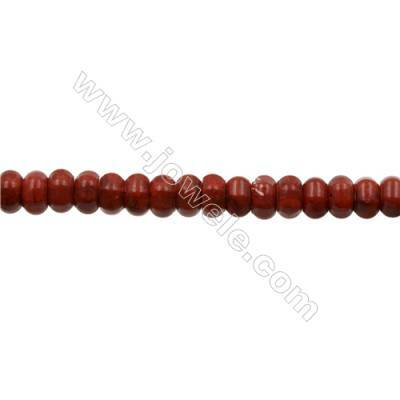 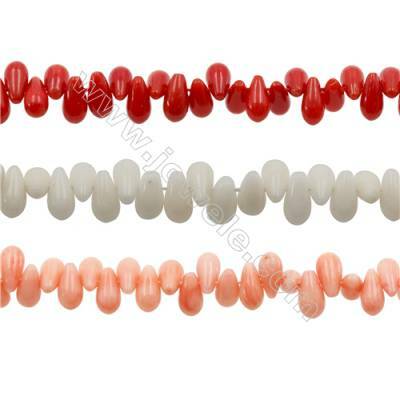 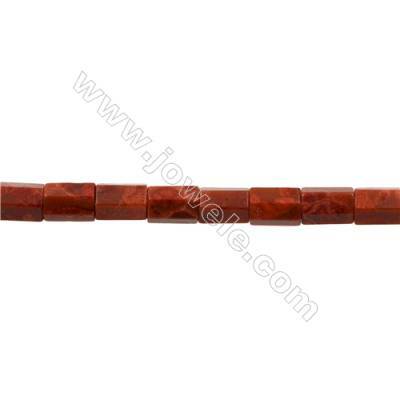 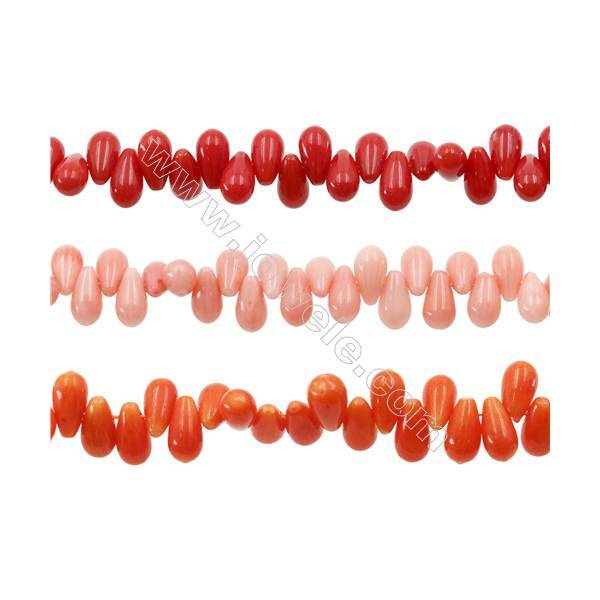 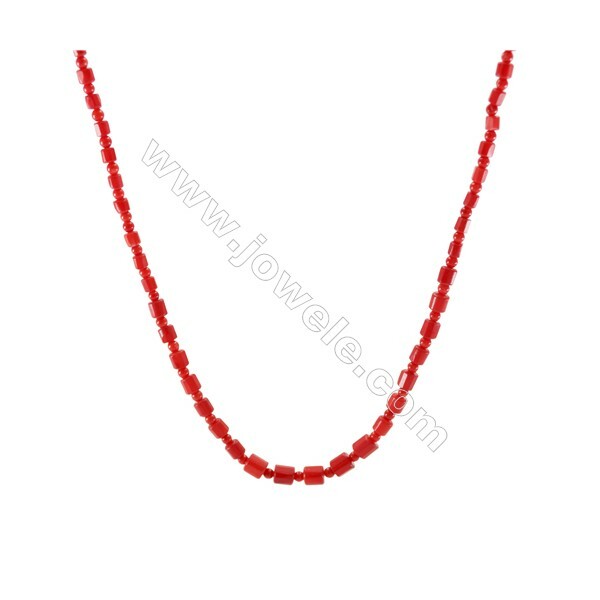 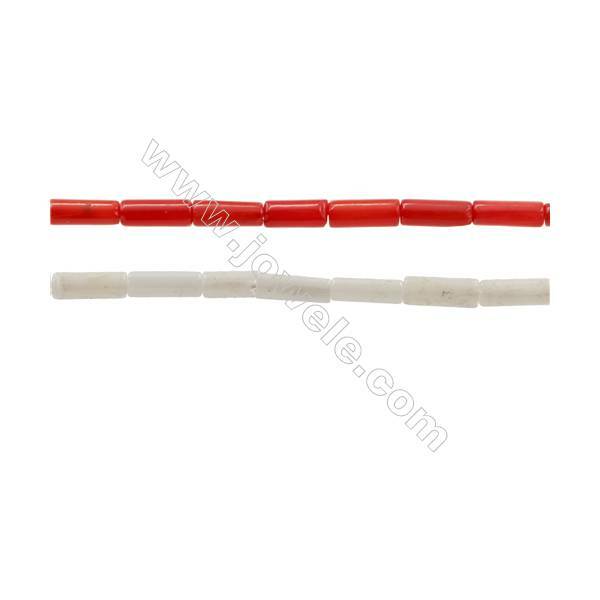 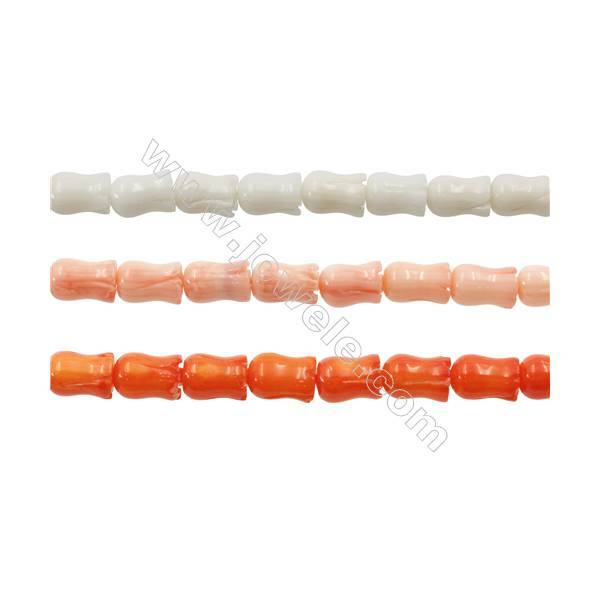 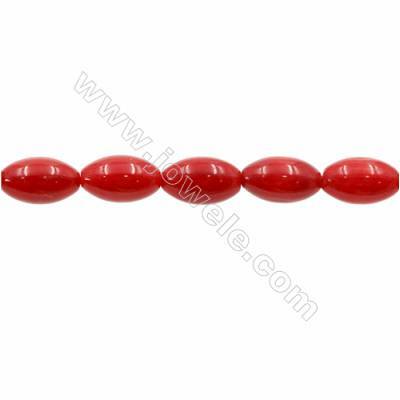 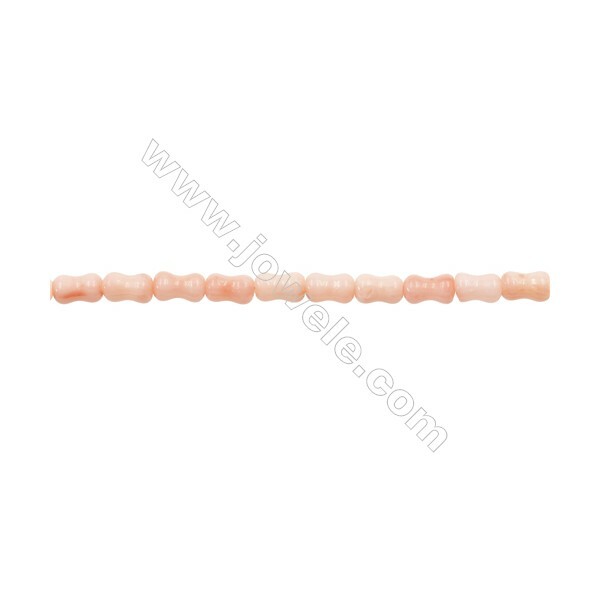 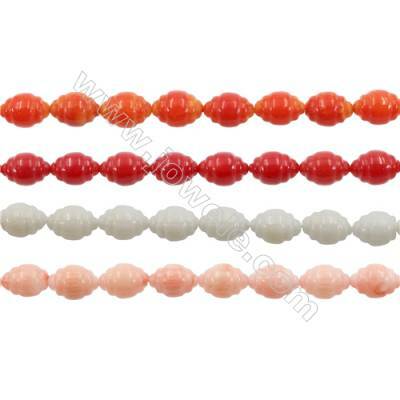 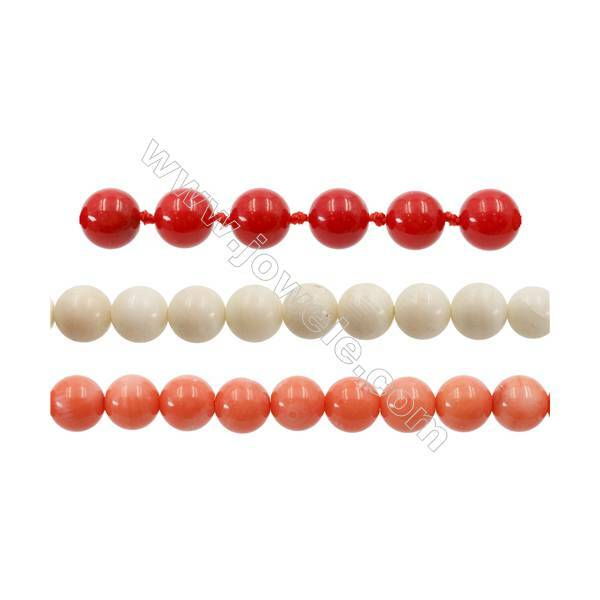 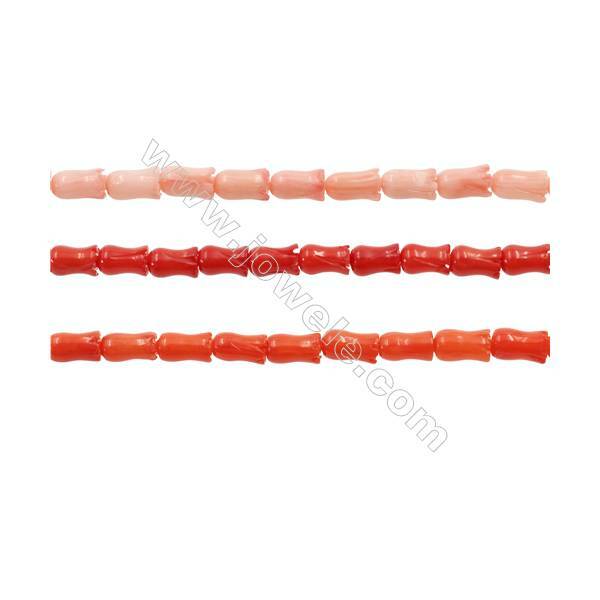 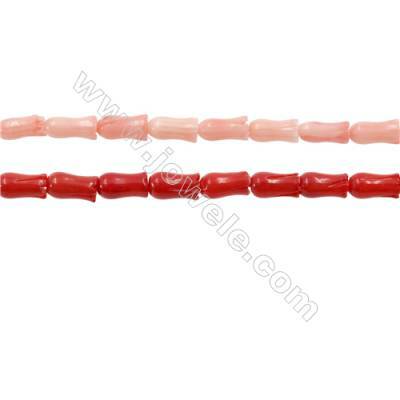 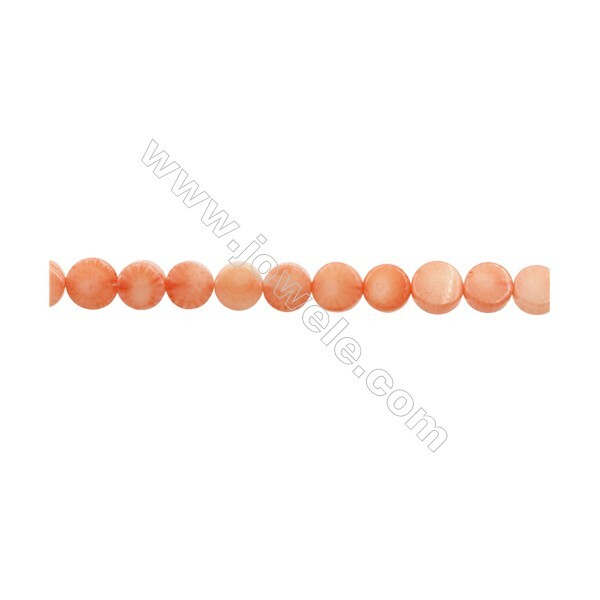 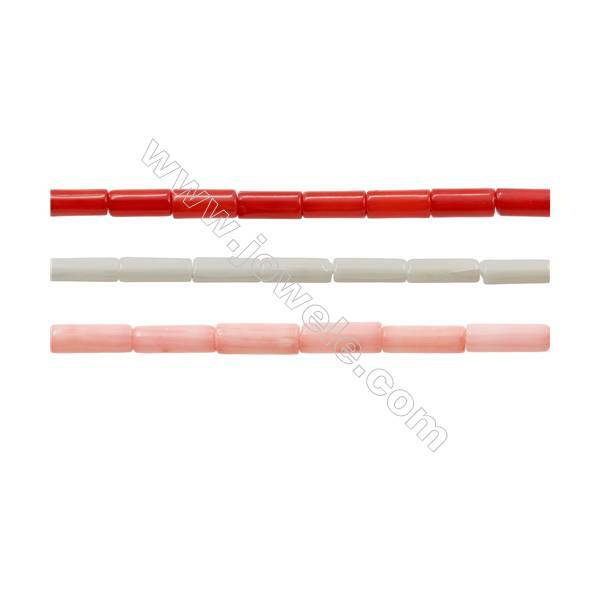 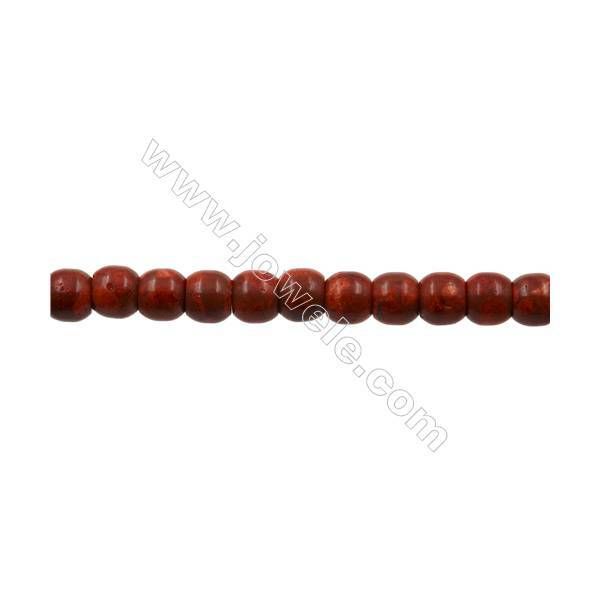 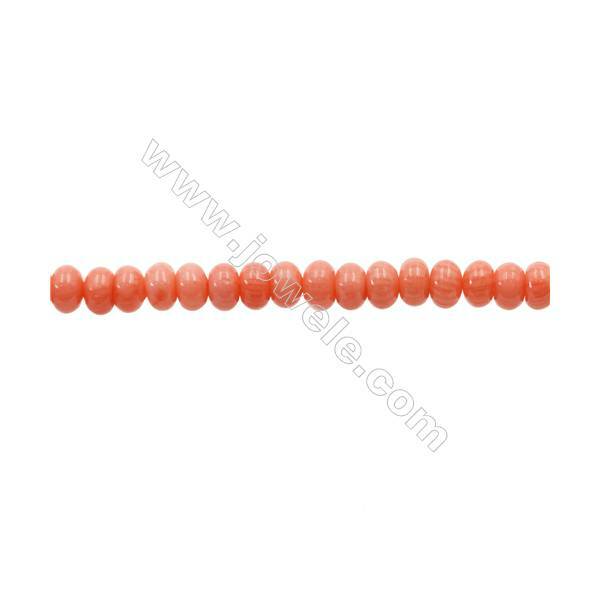 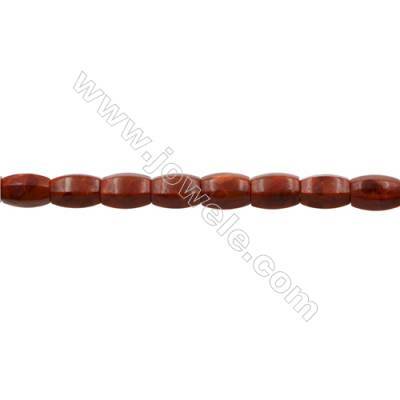 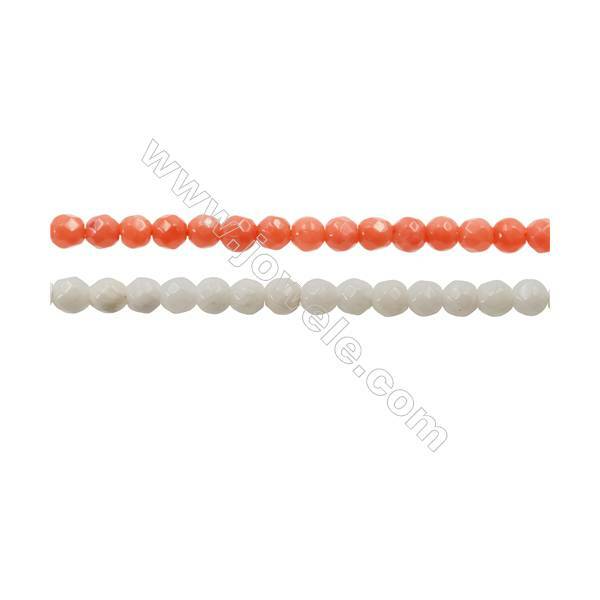 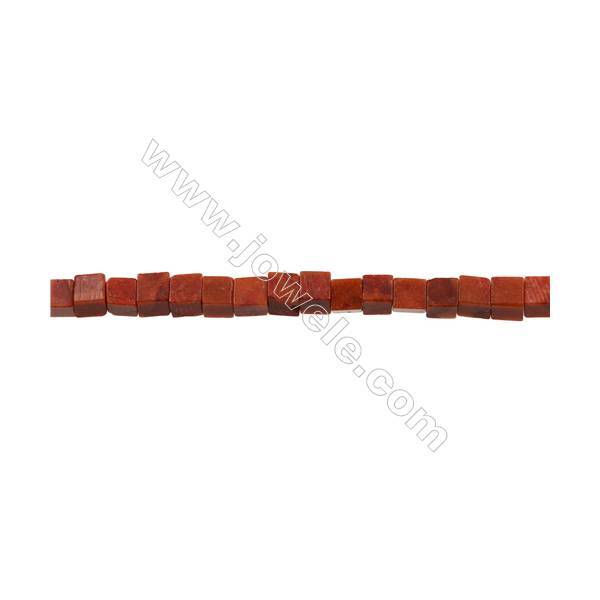 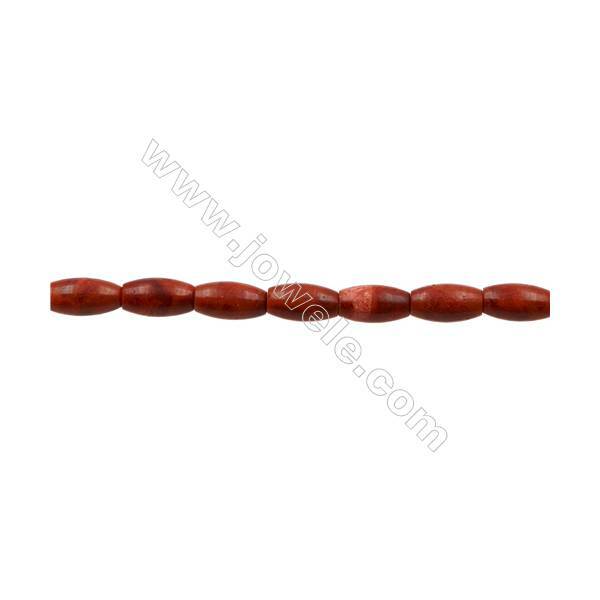 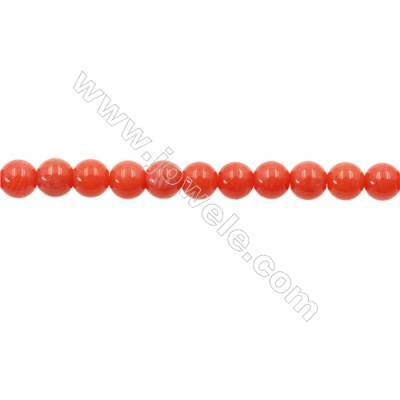 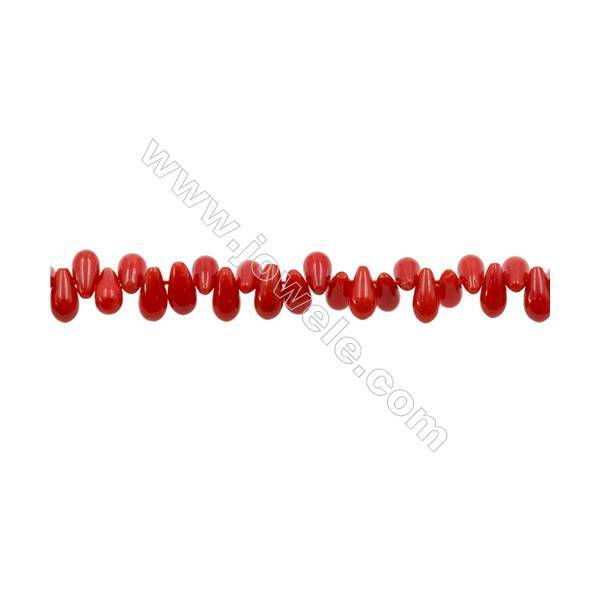 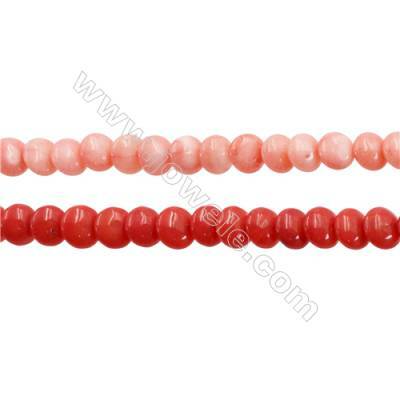 Various Colors Coral Round Beads Strands, Dyed, Diameter 2mm, Hole 0.6mm, about 151 pcs/strand 15~16"
Various Colors Coral Round Beads Strands, Dyed, Diameter 3mm, Hole 0.7mm, about 138 pcs/strand 15~16"
Various Colors Coral Round Beads Strands, Dyed, Diameter 4mm, Hole 0.7mm, about 100 pcs/strand 15~16"
Various Colors Coral Round Beads Strands, Dyed, Diameter 5mm, Hole 0.7mm, about 80 pcs/strand 15~16"
Various Colors Coral Round Beads Strands, Dyed, Diameter 7mm, Hole 1mm, about 60 pcs/strand,15~16"
Various Colors Coral Round Beads Strands, Dyed, Diameter 8mm, Hole 1mm, about 50 pcs/strand 15~16"
Faceted Coral Round Beads Strands, Dyed, Diameter 3mm, Hole 0.6mm, about 130 pcs/strand 15~16"
Faceted Coral Round Beads Strands, Dyed, Diameter 4mm, Hole 0.7mm, about 100 pcs/strand 15~16"
Various Colors Coral Beads Strands Faceted Round, Dyed, Diameter 6mm, Hole 1mm, about 66 pcs/strand 15~16"
Various Colors Coral Faceted Round Beads Strands, Dyed, Diameter 7mm, Hole 1mm, about 53 pcs/strand 15~16"
Orange Coral Round Beads Strands, Dyed, Diameter 4mm, Hole 0.8mm, about 91 pcs/strand 15~16"
Pink Colors Coral Round Beads Strands, Dyed, Diameter 6mm, Hole 1mm, about 55 pcs/strand 15~16"
Pink Colors Coral Round Beads Strands, Dyed, Diameter 8mm, Hole 1mm, about 51 pcs/strand 15~16"
Pink Colors Coral Abacus Beads Strands, Dyed, Size 4x6mm, Hole 0.8mm, about 100 pcs/strand 15~16"
Various Colors Coral Abacus Beads Strands, Dyed, Size 4x6mm, Hole 0.7mm, about 113 pcs/strand 15~16"
Various Colors Coral Abacus Beads Strands, Dyed, Size 2x3mm, Hole 0.7mm, about 200 pcs/strand 15~16"
Various Colors Coral Abacus Beads Strands, Dyed, Size 3x5mm, Hole 0.8mm, about 146 pcs/strand 15~16"
Various Colors Coral Rice Beads Strands, Dyed, Size 4x8mm, Hole 0.6mm, about 50 pcs/strand 15~16"
Various Colors Coral Abacus Beads Strands, Dyed, Size 3x5mm, Hole 0.7mm, about 120 pcs/strand 15~16"
Various Colors Coral Rice Beads Strands, Dyed, Size 3x6mm, Hole 0.7mm, about 63 pcs/strand 15~16"
Various Colors Coral Column Beads Strands, Dyed, Size 2x6mm, Hole 0.6mm, about 66 pcs/strand,15~16"
Various Colors Coral Column Beads Strands, Dyed, Size 3x5mm, Hole 0.6mm, about 80 pcs/strand,15~16"
Various Colors Coral Column Beads Strands, Dyed, Size 3x9mm, Hole 0.7mm, about 44 pcs/strand 15~16"
Various Colors Coral Flat Round Beads Strands, Dyed, Size 3x4mm, Hole 0.6mm, about 95 pcs/strand 15~16"
Various Colors Coral Flat Round Beads Strands, Dyed, Size 4x6mm, Hole 0.7mm, about 68 pcs/strand 15~16"
Various Colors Coral Waterdrop Beads Strands, Dyed, Size 4x8mm, Hole 0.6mm, about 150 pcs/strand, 15~16"
Various Colors Coral Teardrop Beads Strands, Dyed, Size 5x7mm, Hole 0.7mm, about 120 pcs/strand 15~16"
Various Colors Coral Waterdrop Beads Strands, Dyed, Size 5x8mm, Hole 0.8mm, about 118 pcs/strand 15~16"
Various Colors Coral 8 Beads Strands, Dyed, Size 3x6mm, Hole 0.6mm, about 186 pcs/strand 15~16"
Various Colors Coral 8 Beads Strands, Dyed, Size 4x8mm, Hole 0.8mm, about 150 pcs/strand 15~16"
Various Colors Coral Flower Beads Strands, Dyed, Size 4x5mm, Hole 0.7mm, about 80 pcs/strand 15~16"
Various Colors Coral Flower Beads Strands, Dyed, Size 4x8mm, Hole 0.7mm, about 55 pcs/strand 15~16"
Various Colors Coral Flower Beads Strands, Dyed, Size 5x7mm, Hole 0.8mm, about 50 pcs/strand 15~16"
Various Colors Coral Flower Beads Strands, Dyed, Size 6x9mm, Hole 1mm, about 45 pcs/strand 15~16"
Various Colors Coral Lantern Beads Strands, Dyed, Size 6X8mm, Hole 0.8mm, about 50 pcs/strand 15~16"
Various Colors Coral Lantern Beads Strands, Dyed, Size 7x9mm, Hole 0.8mm, about 40 pcs/strand 15~16"
Various Colors Coral Pillow Beads Strands, Dyed, Size 4x6mm, Hole 0.7mm, about 65 pcs/strand 15~16"
Various Colors Coral Dish Beads Strands, Dyed, Size 4x7mm, Hole 0.7mm, about 80 pcs/strand, 15~16"
Various Colors Coral Tower Chain Beads Strands, Dyed, Diameter 4mm, Hole 0.8mm, about 65 pcs/strand 15~16"
Red Coral Teardrop Beads Strands, Dyed, Size 5x8mm, Hole 0.8mm, about 44 pcs/strand, 15~16"
3mm Red Coral Beads Strand, Round, Hole 0.7mm, about 133 beads/strand, 15~16"
Synthesis dark red Coral Beads Strand, Abacus, 11x17.5mm, Hole 1mm, about 25 beads/strand, 15-16"
Synthesis dark red Coral Beads Strand , Abacus, 6x12.5mm, Hole 1mm, about 60 beads/strand, 15-16"
Synthesis dark red Coral Beads Strand, 8x12mm, Hole 1mm, about 48 beads/strand, 15-16"
Synthesis dark red Coral Beads Strand, Faceted Abacus, 8x13mm, Hole 1mm, about 50 beads/strand, 15-16"
Synthesis dark red Coral Beads Strand, Barrel, 12x14mm, Hole 1mm, about 32 beads/strand, 15-16"
Synthesis dark red Coral Beads Strand, Size 8x16mm, Hole 1mm, about 25 beads/strand, 15-16"
Synthesis dark red Coral Beads Strand, Rice, 7x10.5mm, Hole 0.7mm, about 38 beads/strand, 15-16"
Synthesis dark red Coral Beads Strand, 11.5x16mm, Hole 1mm, about 26 beads/strand, 15-16"
Synthesis dark red Coral Beads Strand, Column, 8x18mm, Hole 1mm, about 22 beads/strand, 15-16"
Synthesis dark red Coral Beads Strand, Barrel, 14x15mm, Hole 1mm, about 27 beads/strand, 15-16"
Synthesis dark Coral Beads Strand, 10.5x16mm, Hole 1mm, about 26 beads/strand, 15-16"
Synthesis dark red Coral Beads Strand, Square, 7.5x7.5mm, Hole 0.7mm, about 54 beads/strand, 15-16"
Synthesis dark red Coral Beads Strand, Cube, 10x10x10mm, Hole 0.8mm, about 27 beads/strand, 15-16"
Synthesis dark red Coral Beads Strand, Rectangle, 6x13x22mm, Hole 1mm, Thick 6mm, about 18 beads/strand, 15-16"